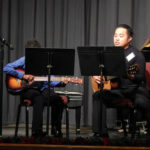 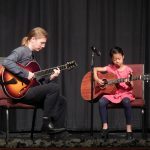 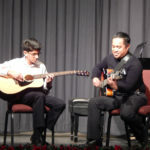 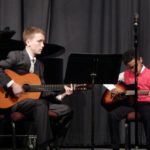 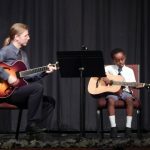 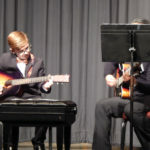 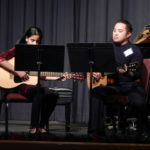 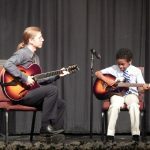 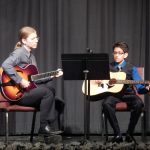 News and Events » Roberson School of Music » A place to discover fun and exciting ways to make serious music. 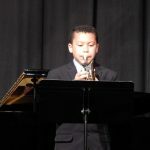 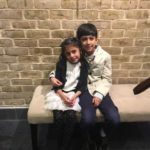 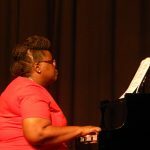 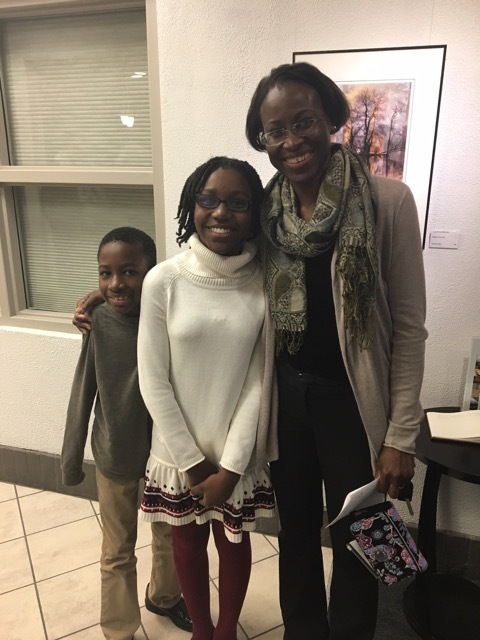 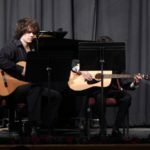 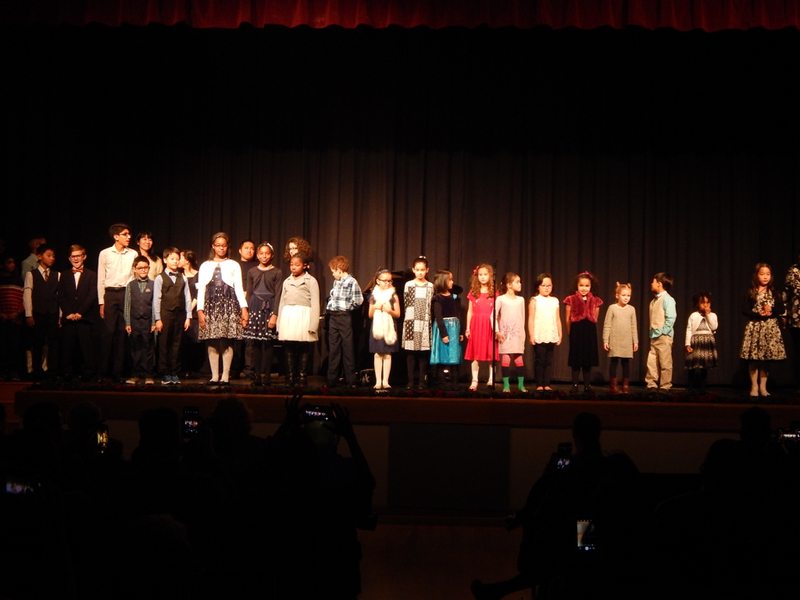 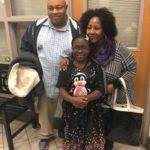 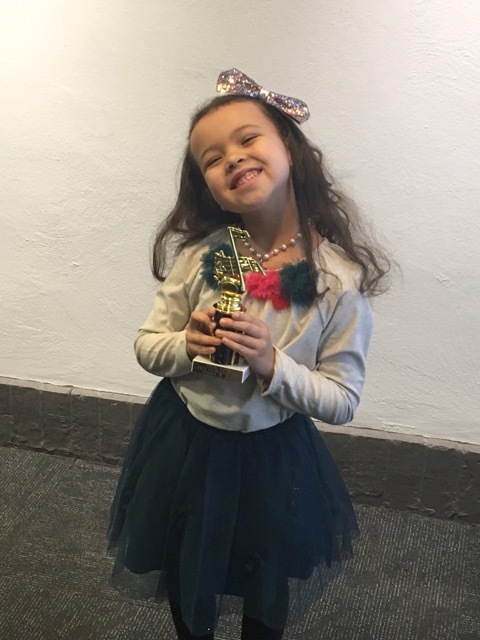 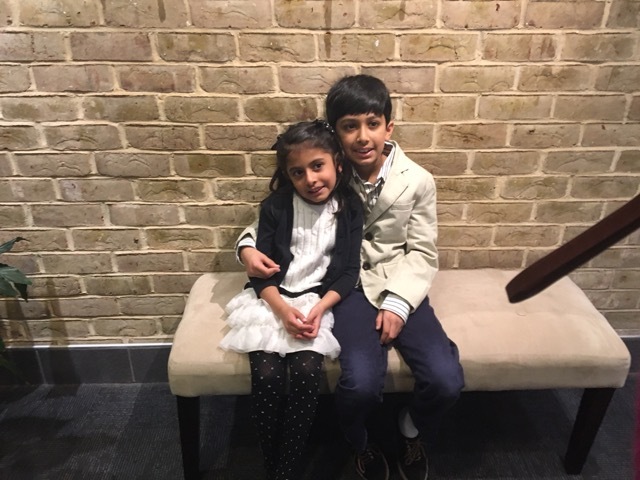 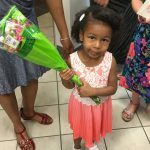 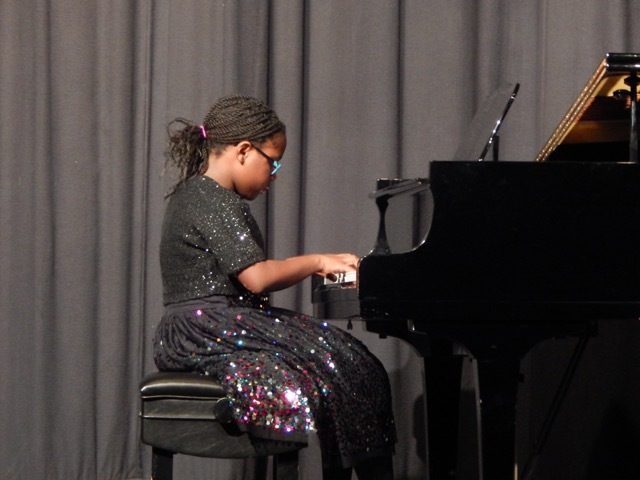 Here are some pictures from the December 2017 recital. 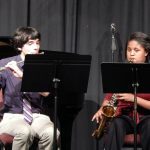 Congratulations to RSM students that participated in the 2017 MSMTA theory exam this year. 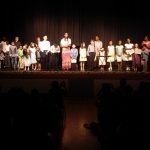 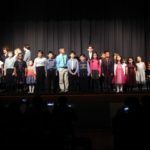 All students scored in the 90% percentile or above, a superior rating: Cecilia Cuffe, Catherine Dorsey, John Dorsey, Nicholas Emig, Samaira Hammond, Shihir Nallar, Valentina Rosa, Soraya Sharif, Alexander Sleeman, Danielle Spence, Matthew Wu, Matthew Yang. 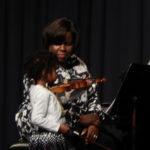 Maryland State Music Teachers Association (MSMTA) is a branch of the Music Teachers National Association (MTNA). 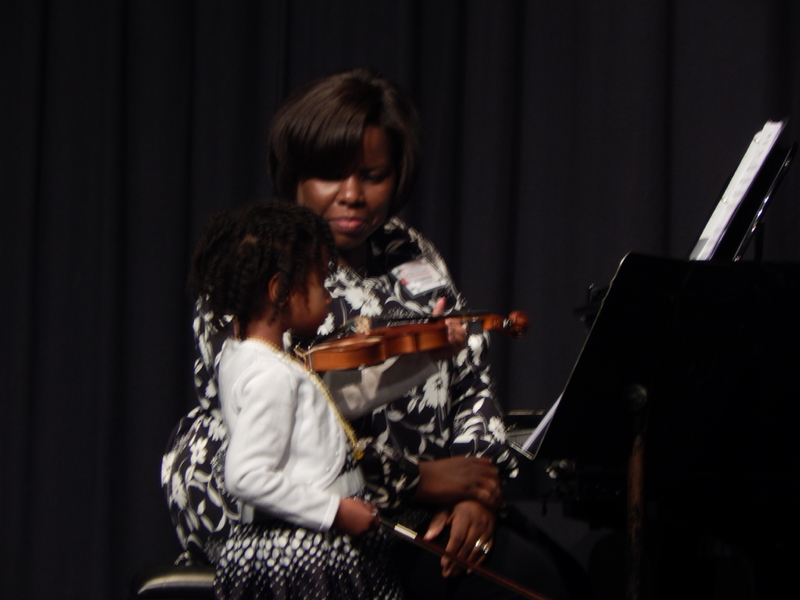 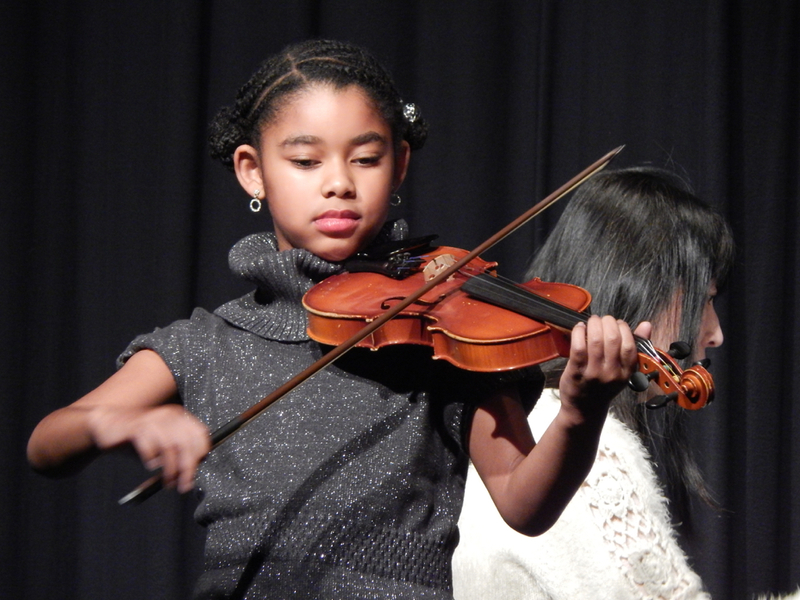 MTNA is dedicated to advancing the value of music study and music making. 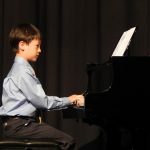 The association strives to provide the latest methods, exams and information on music education. 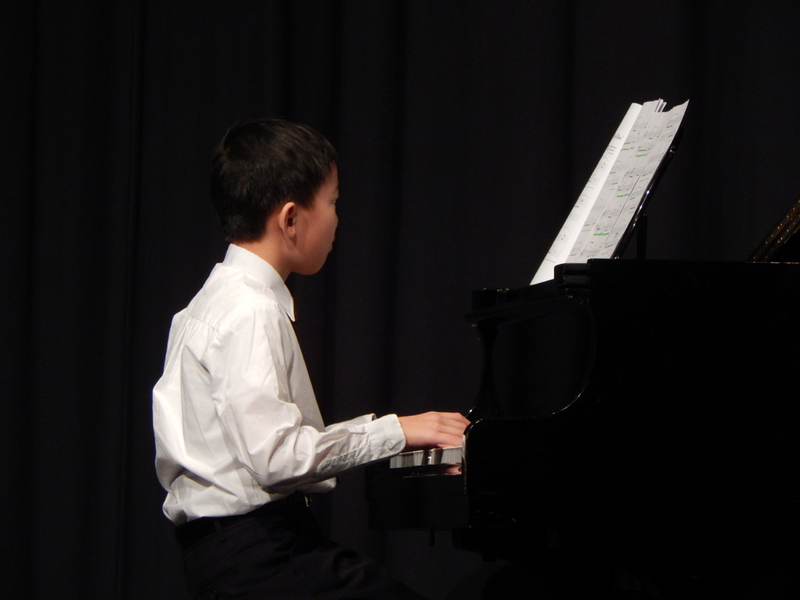 All pieces must be memorized. 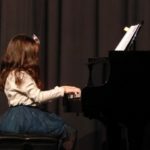 Performance of 1 to 20 memorized pieces (and Musicianship Phases). 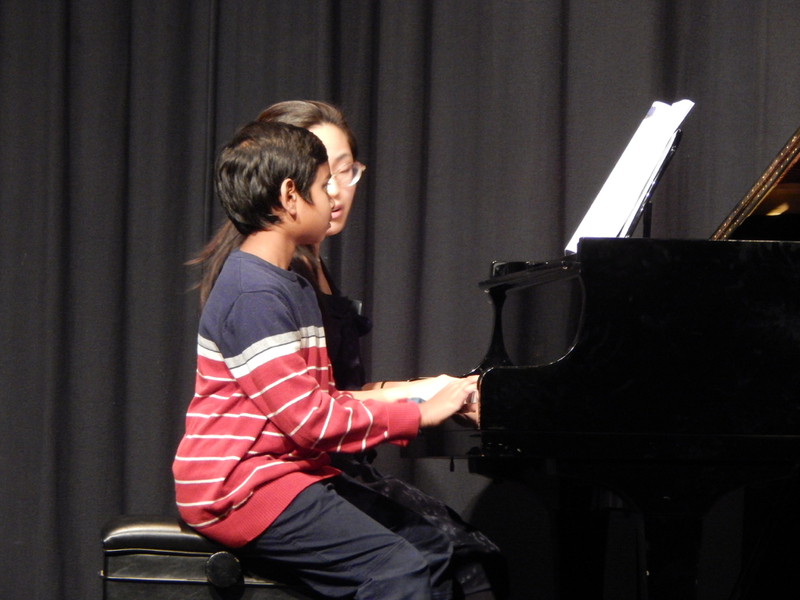 Each student appears before the experienced MTNA examiner at the appointed time. 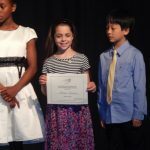 A Certificate according to classification and grading. 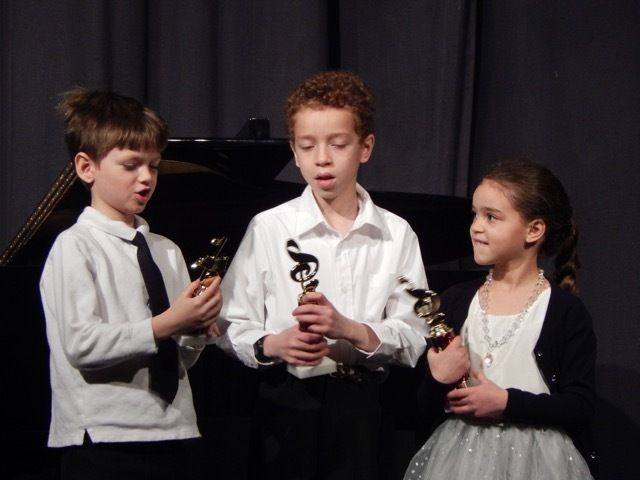 A MTNA studio festival Pin or Medallion according to entry level and grading. 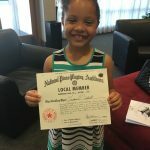 Analysis Chart and Report Card signed by the MTNA examiner. 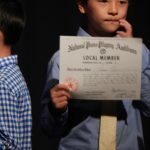 A Membership Certificate according to classification. 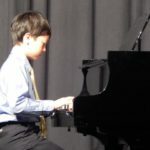 An NFSM Membership Pin in Bronze (Pledge, Local and District), Silver (State), or Gold (National or International). 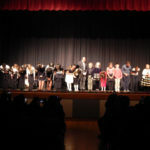 Hobbyist and Ensemble students receive a bronze pin. 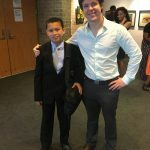 Analysis Chart and Report Card signed by the Guild examiner. 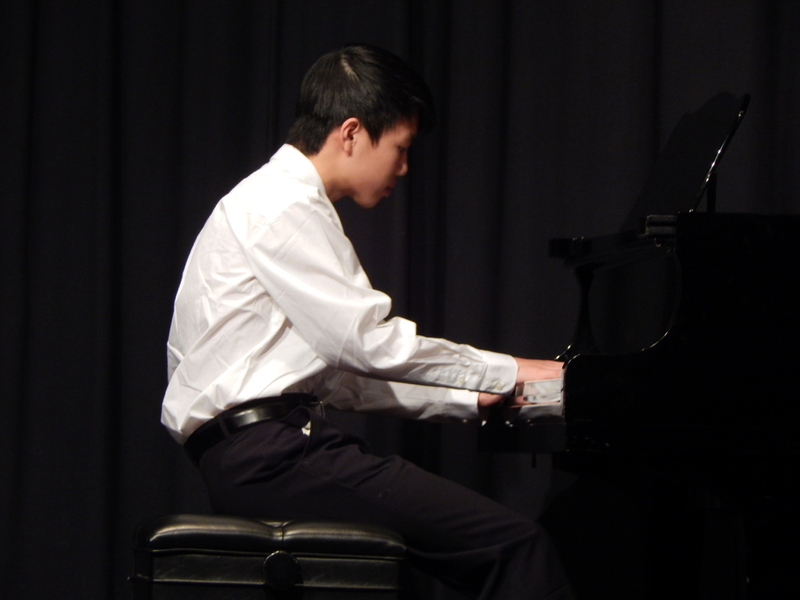 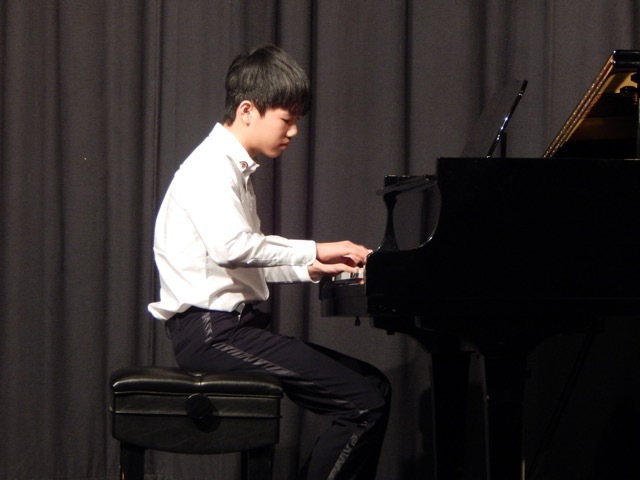 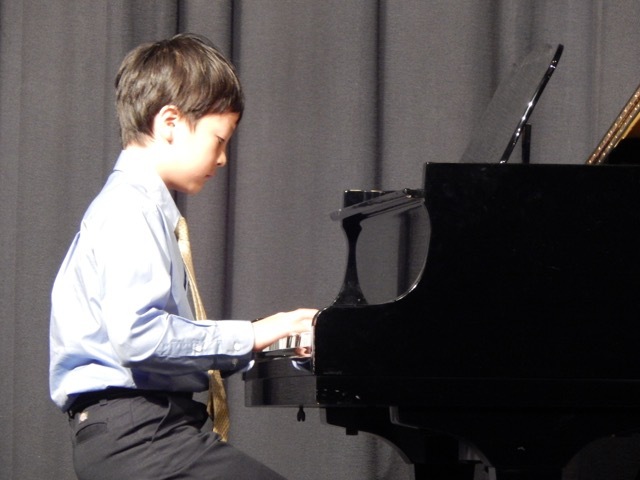 Congratulations to RSM student Sean Cheng for winning 2nd place in the 2017 MSMTA Spring Piano Festival level 11B! 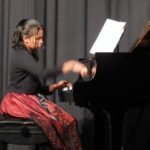 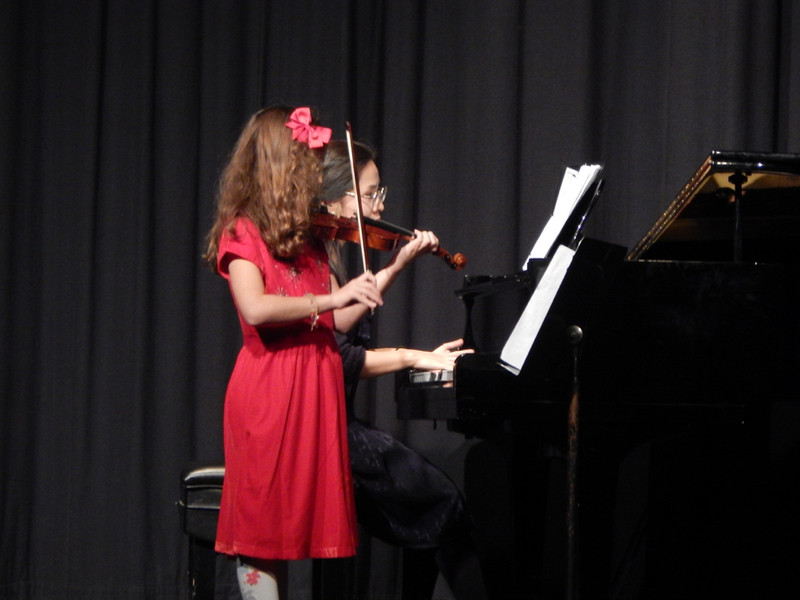 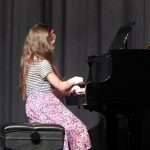 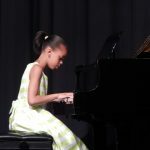 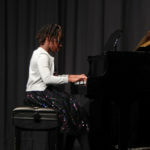 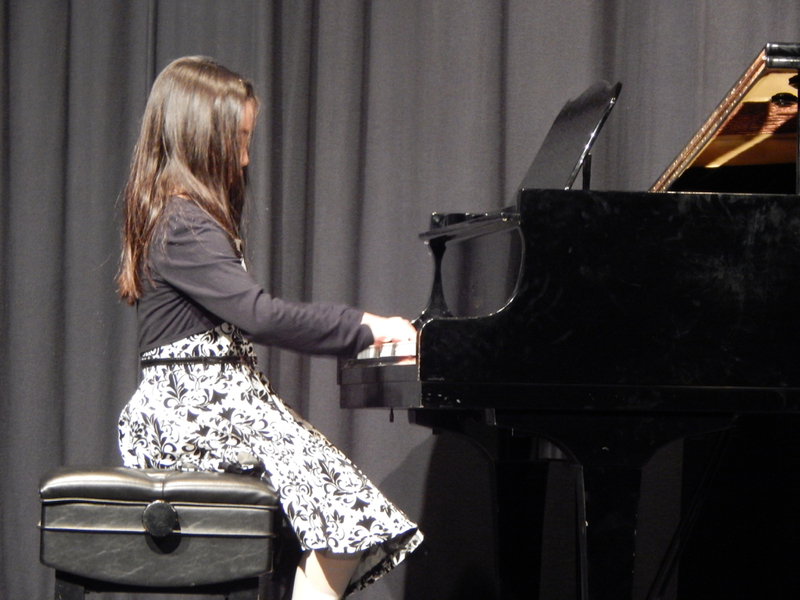 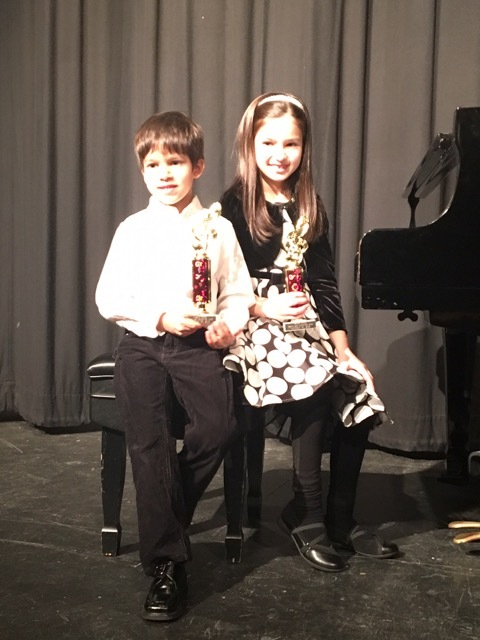 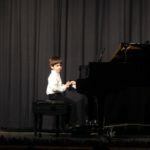 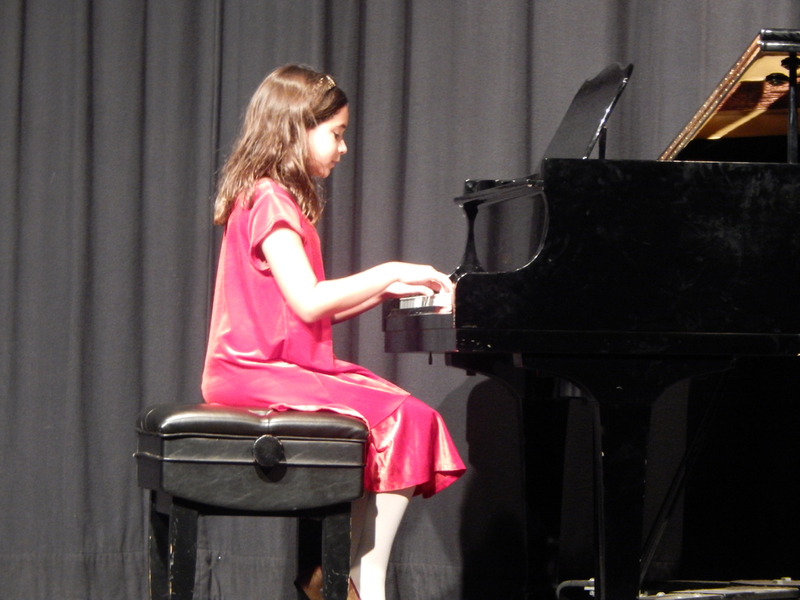 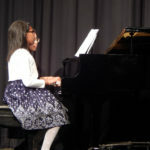 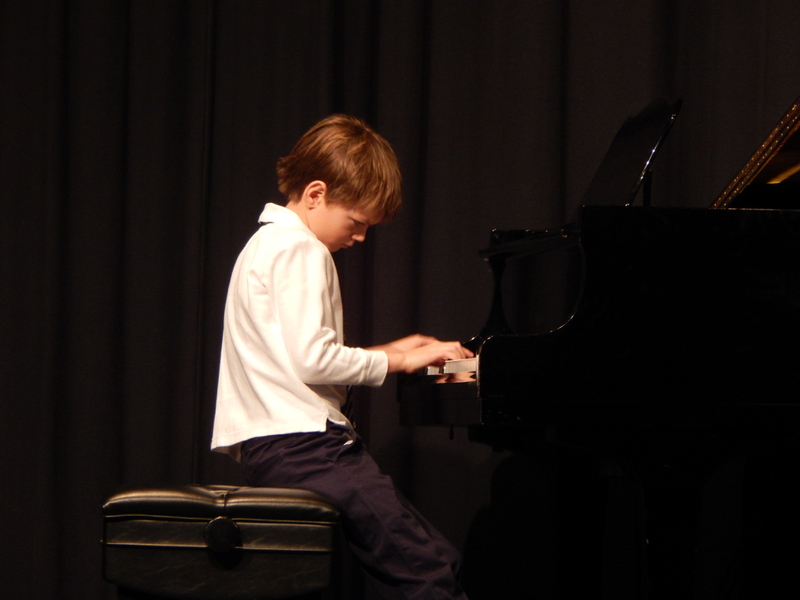 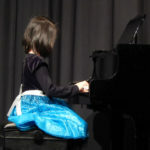 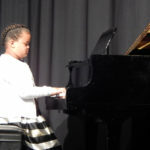 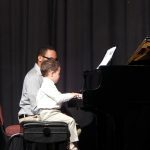 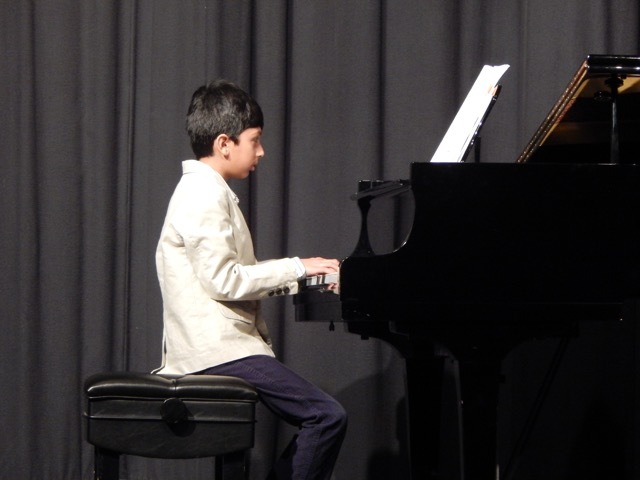 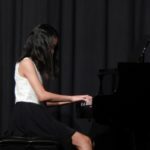 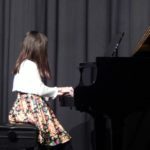 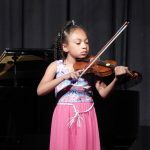 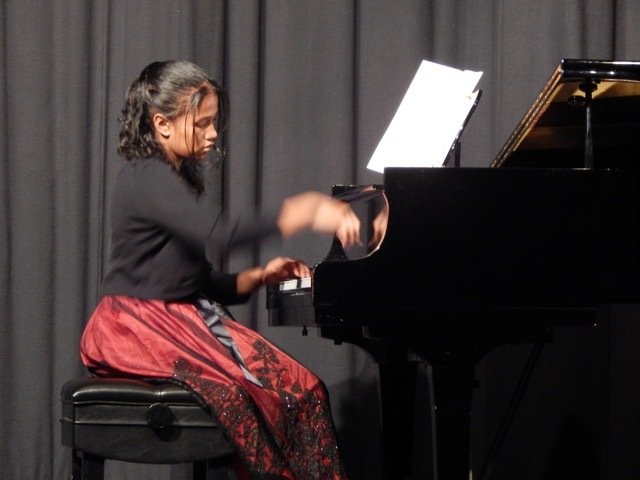 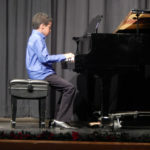 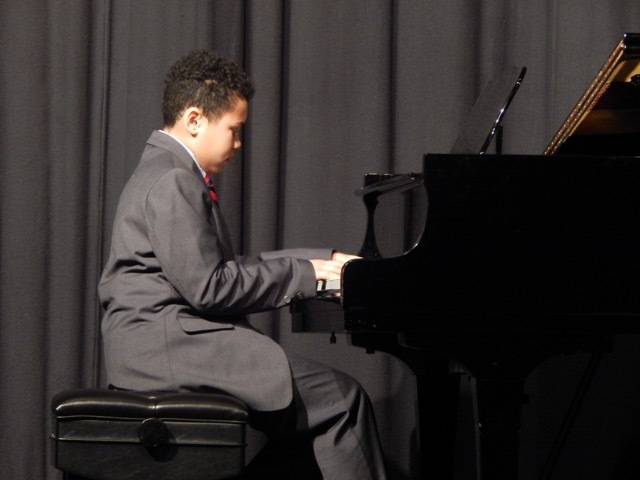 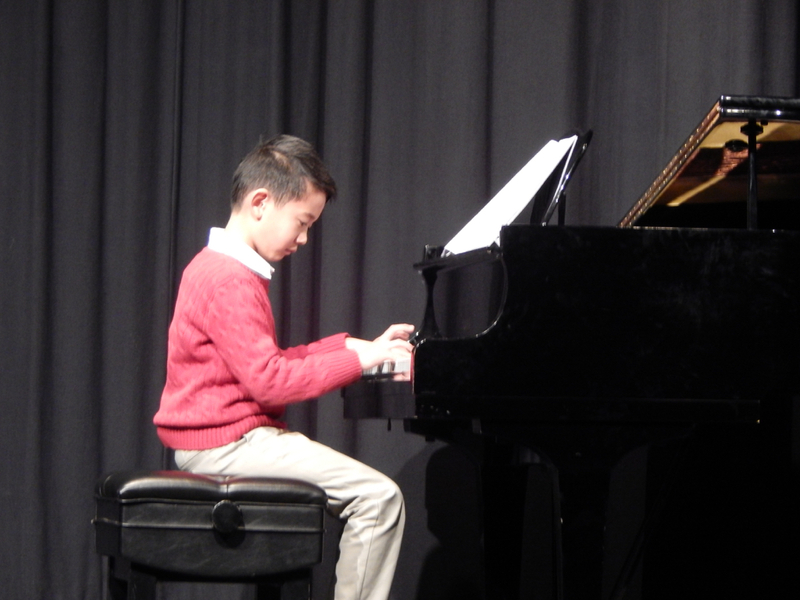 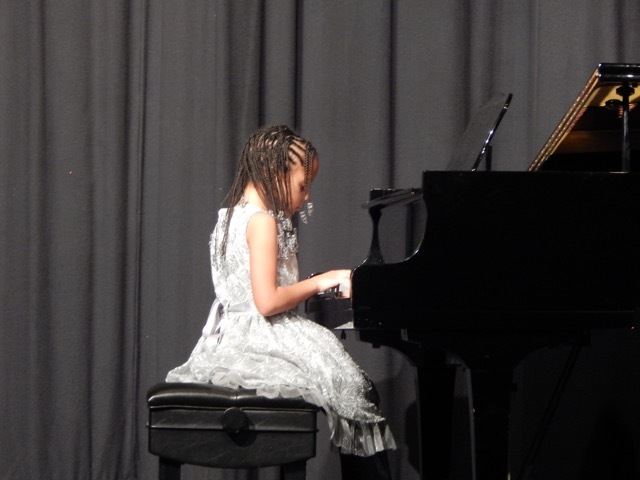 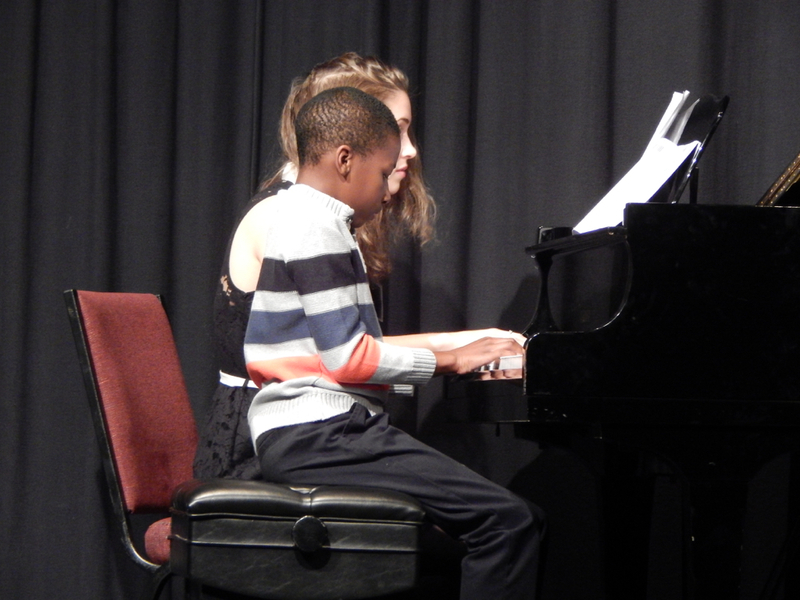 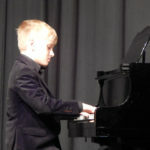 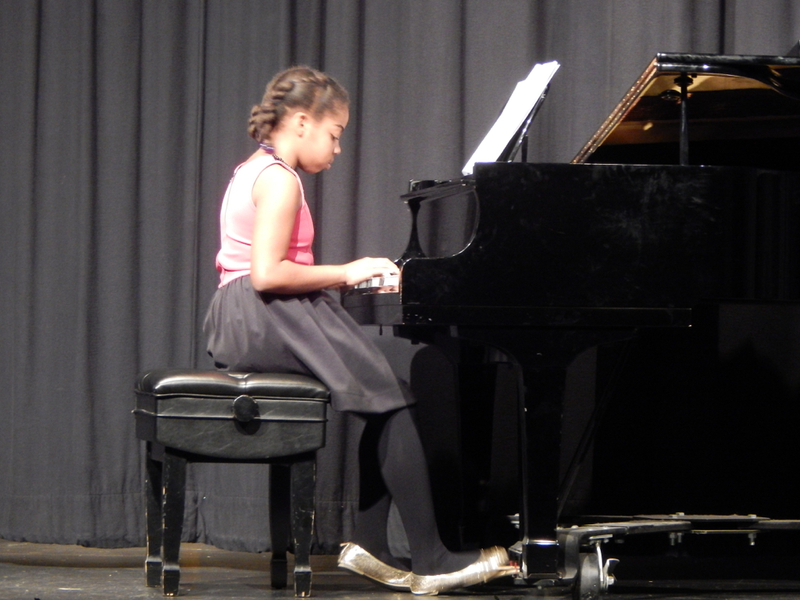 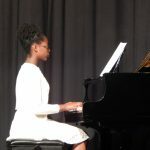 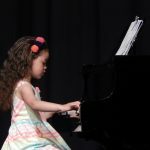 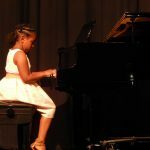 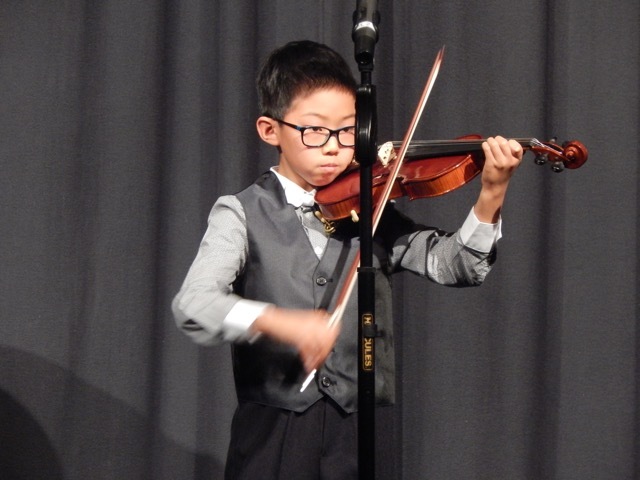 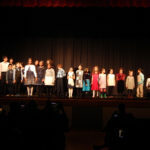 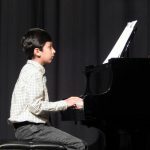 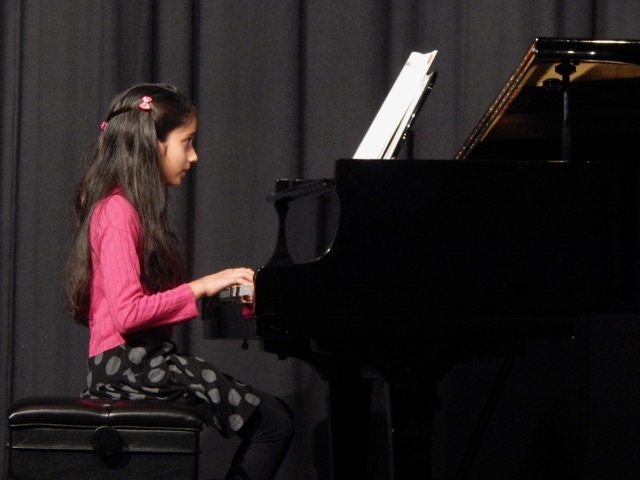 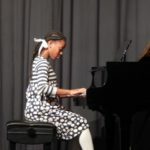 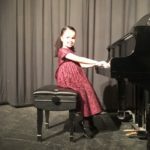 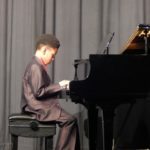 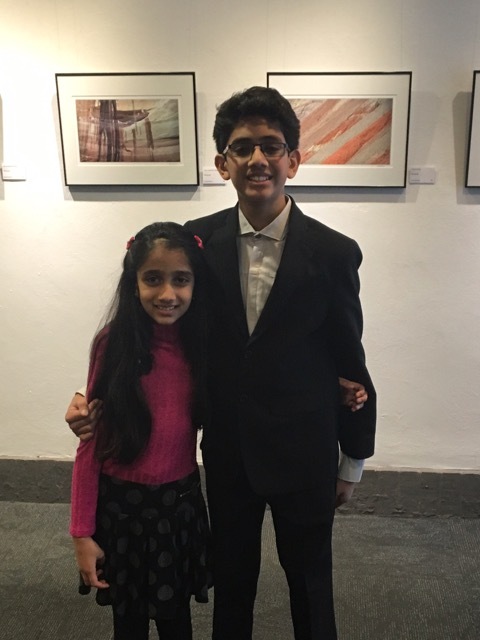 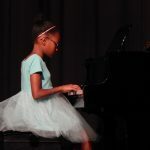 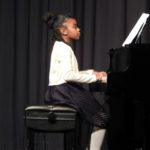 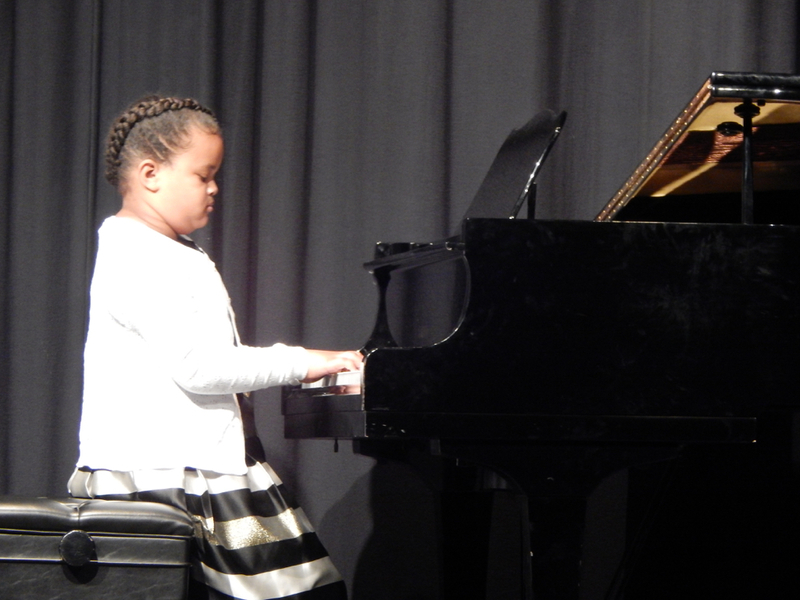 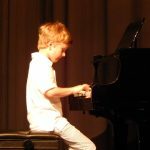 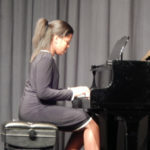 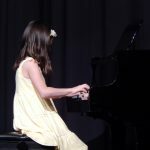 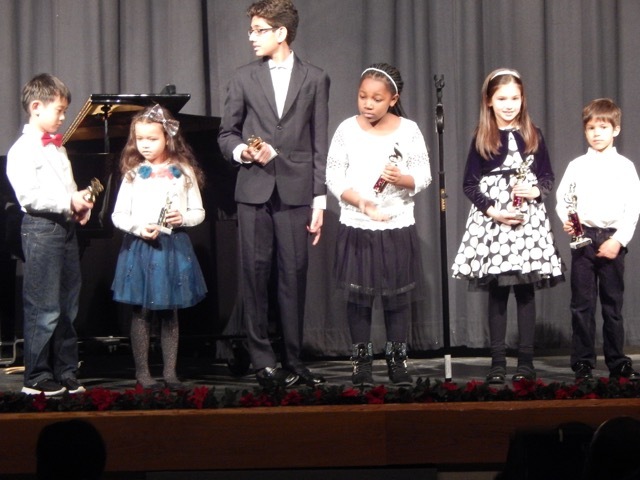 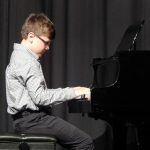 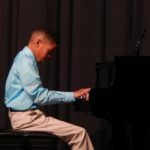 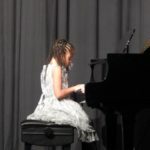 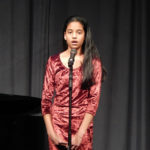 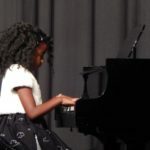 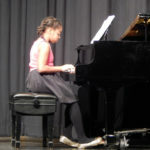 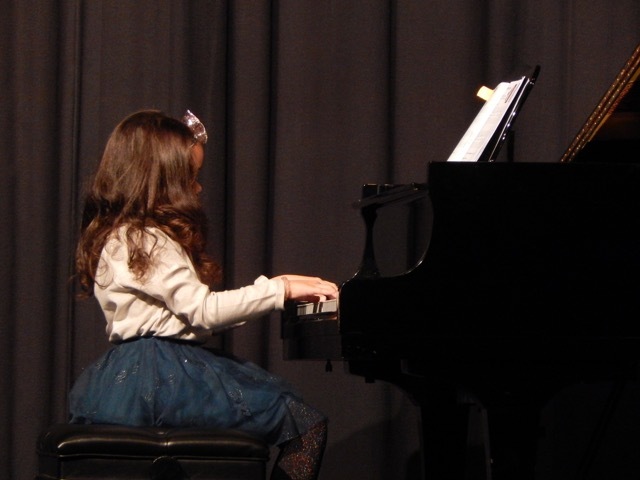 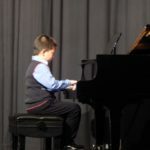 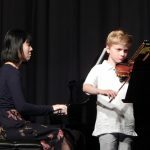 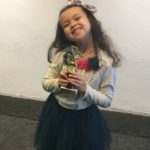 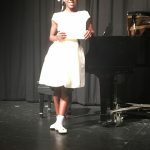 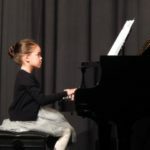 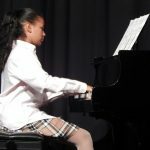 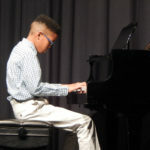 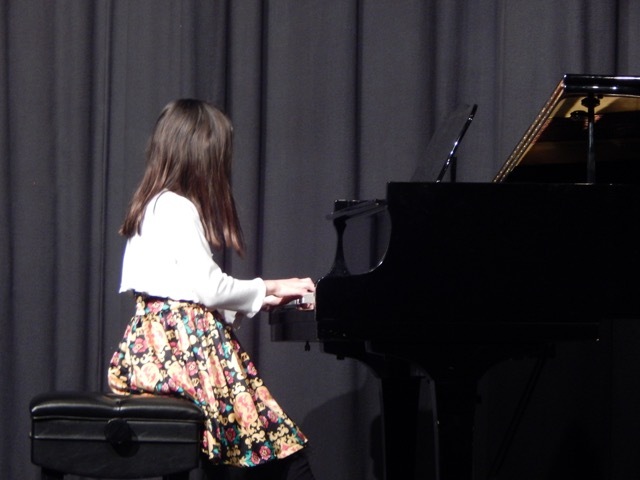 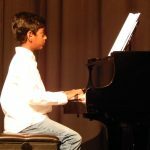 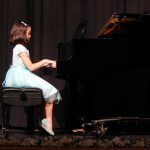 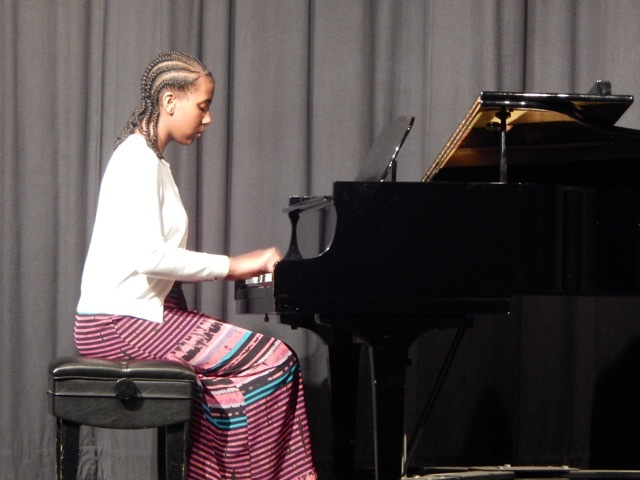 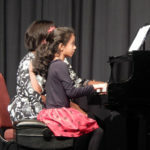 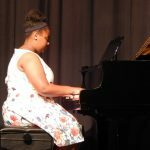 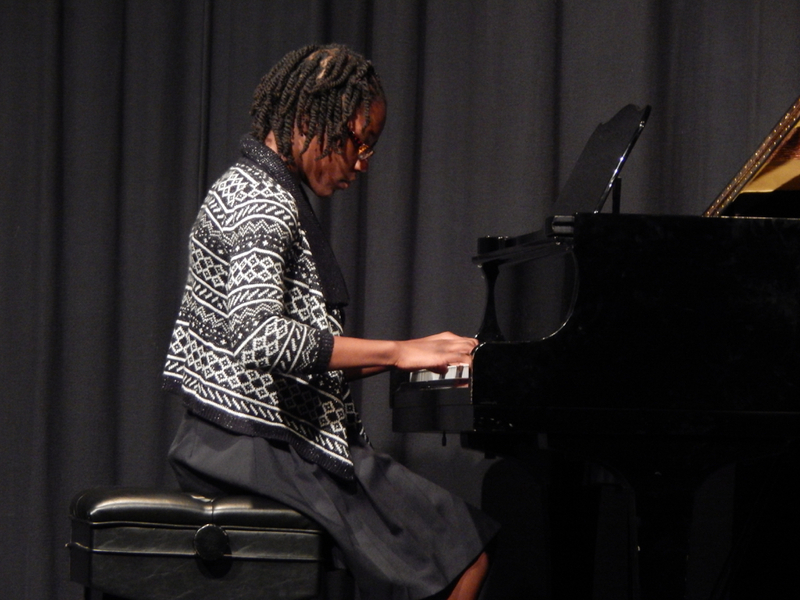 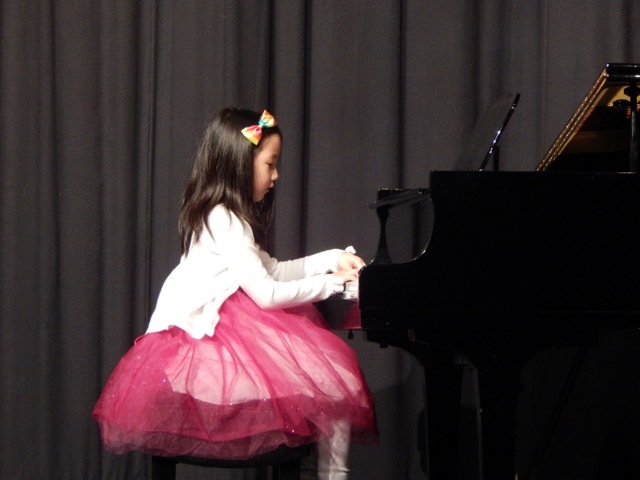 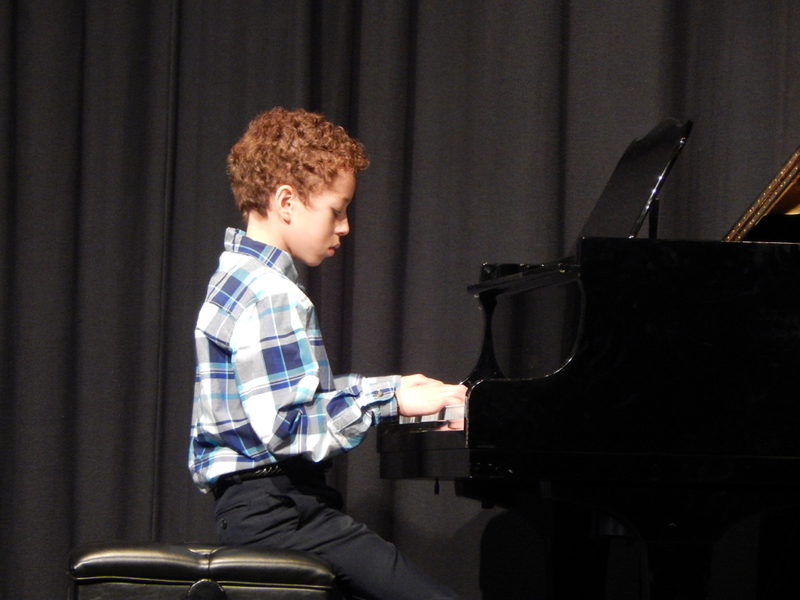 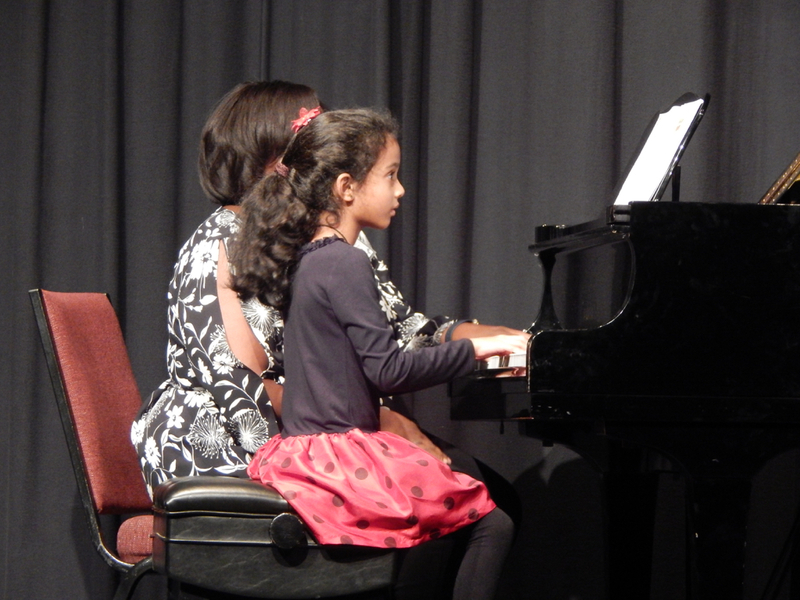 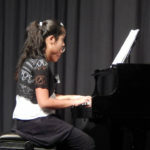 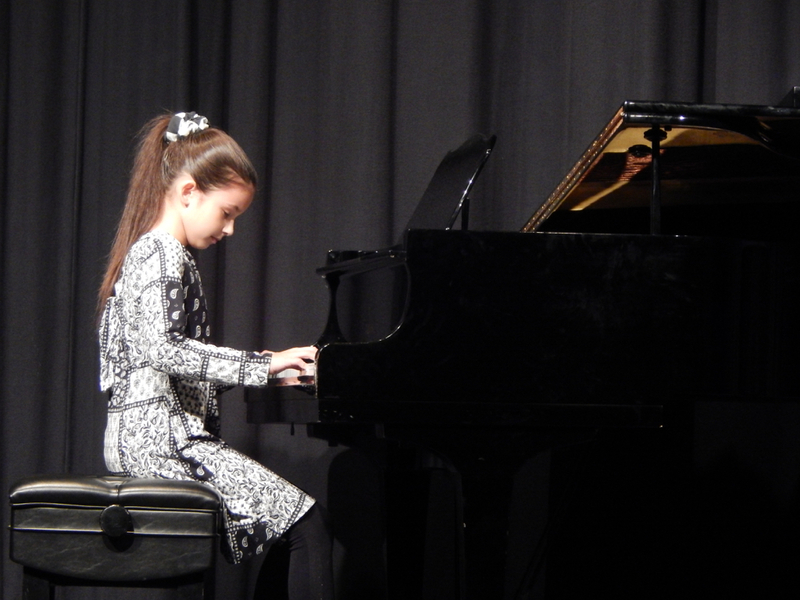 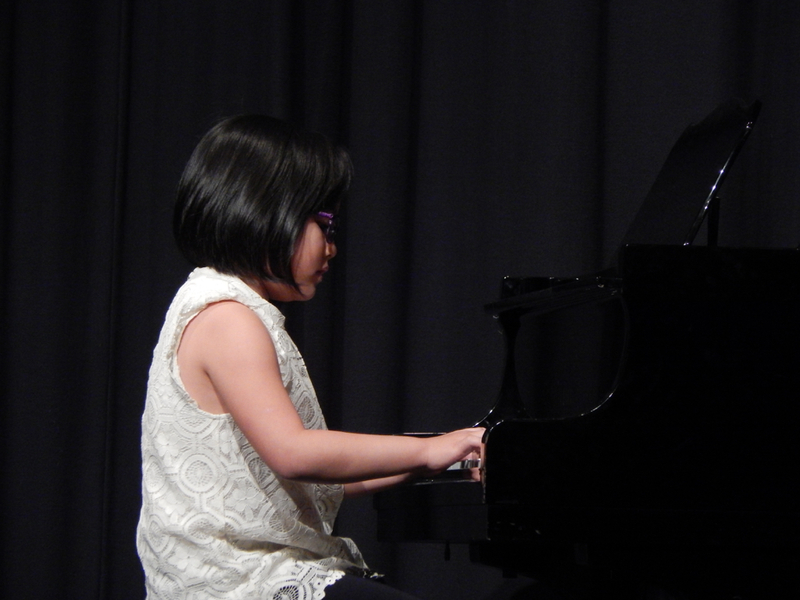 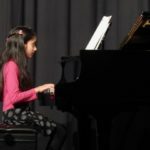 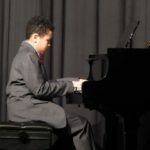 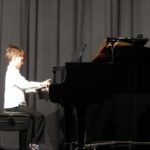 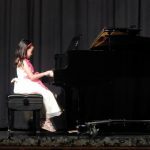 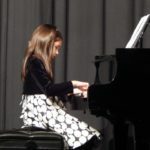 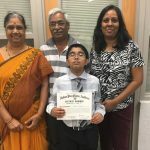 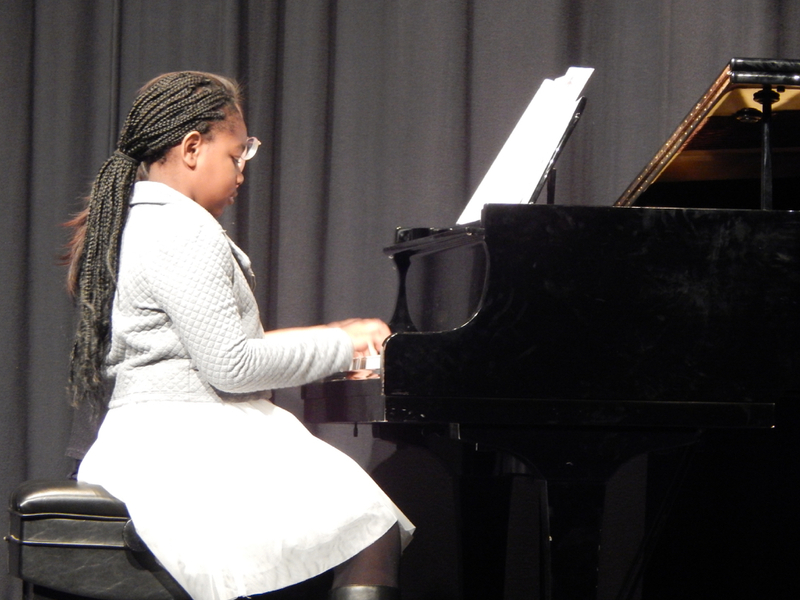 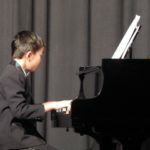 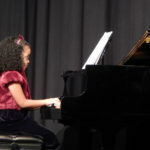 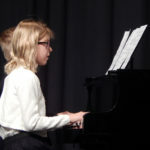 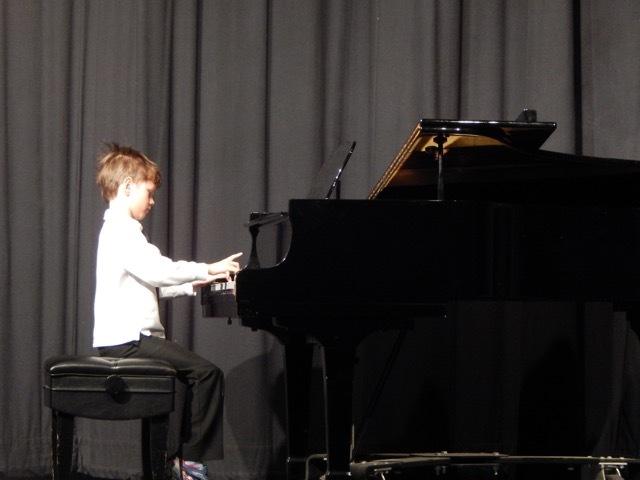 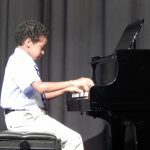 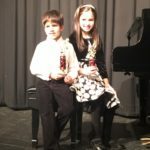 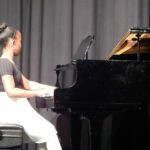 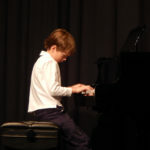 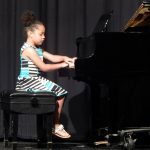 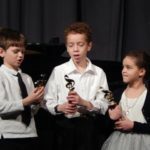 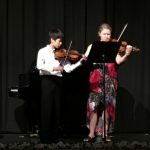 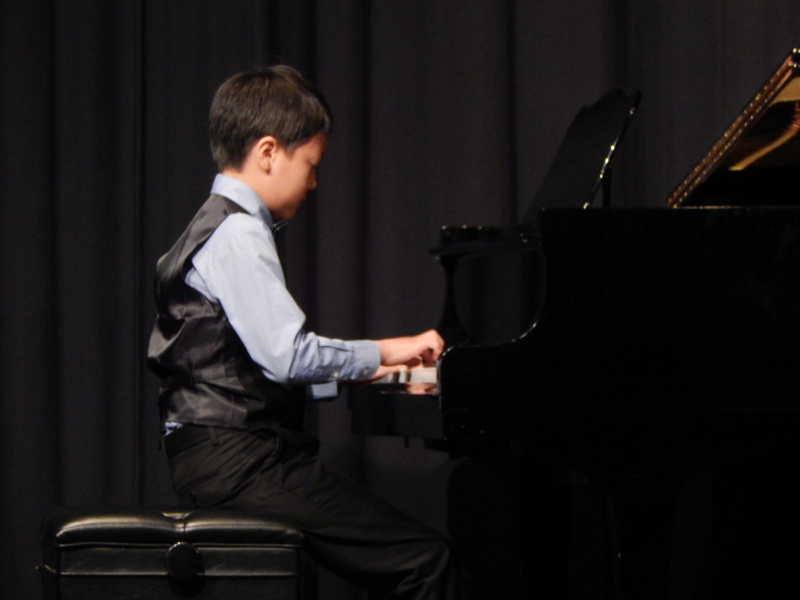 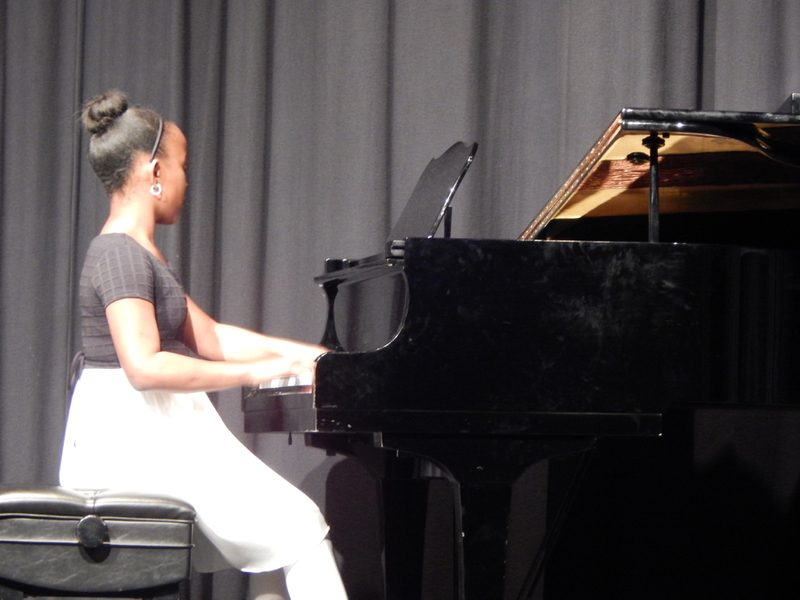 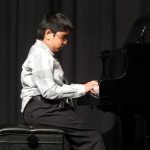 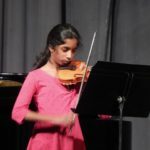 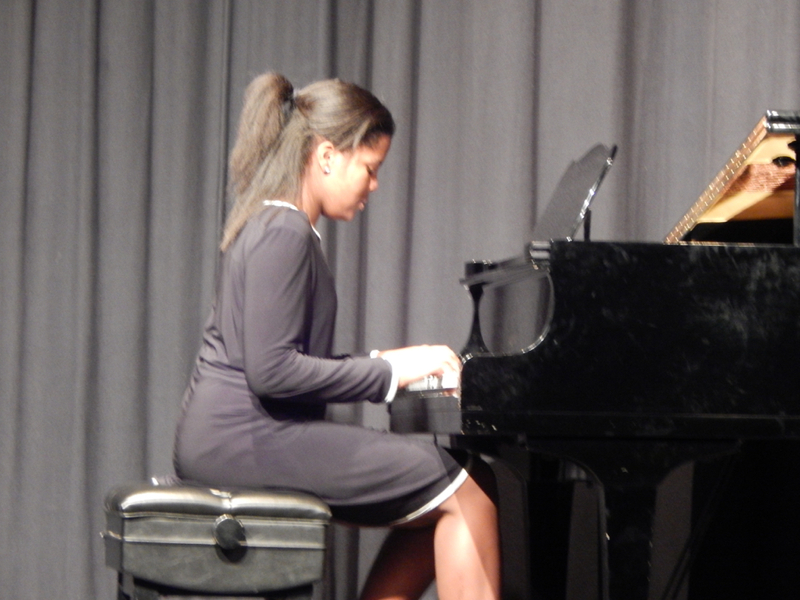 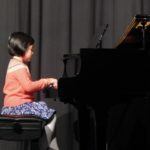 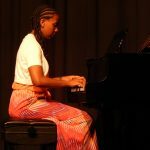 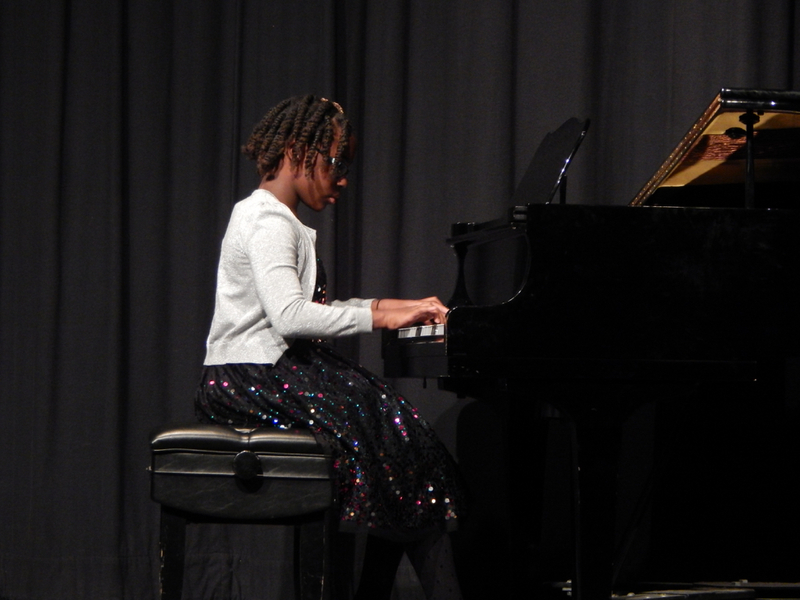 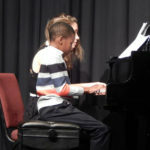 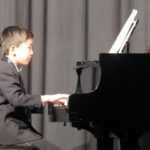 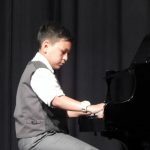 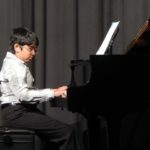 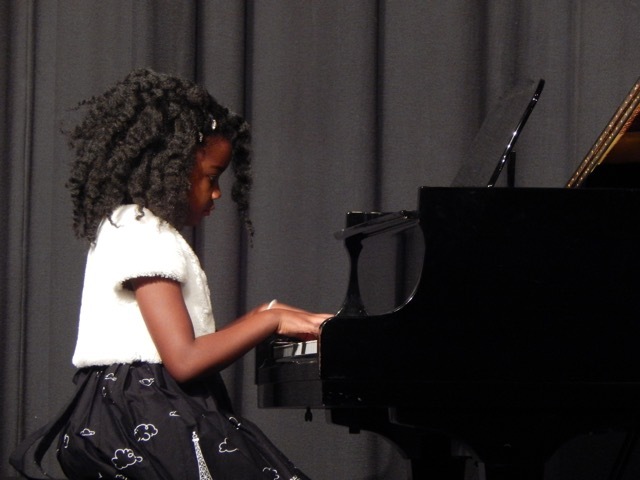 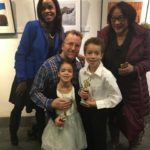 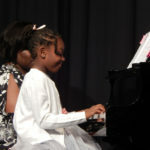 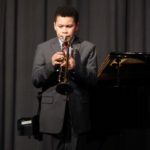 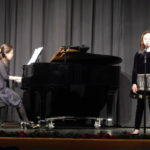 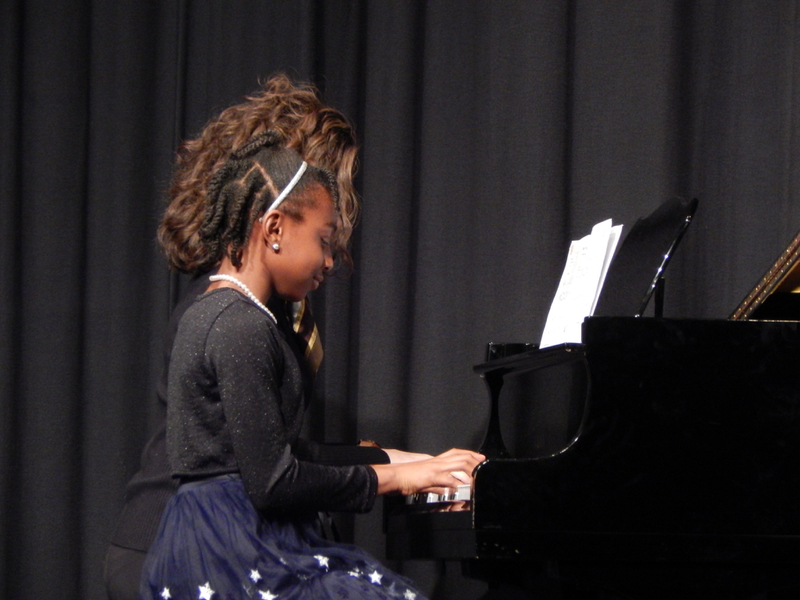 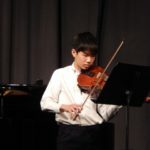 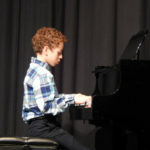 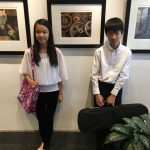 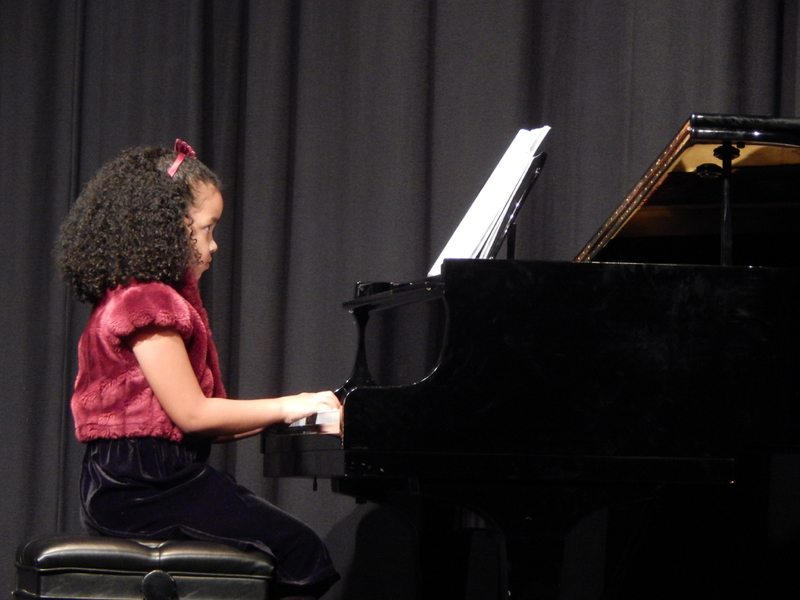 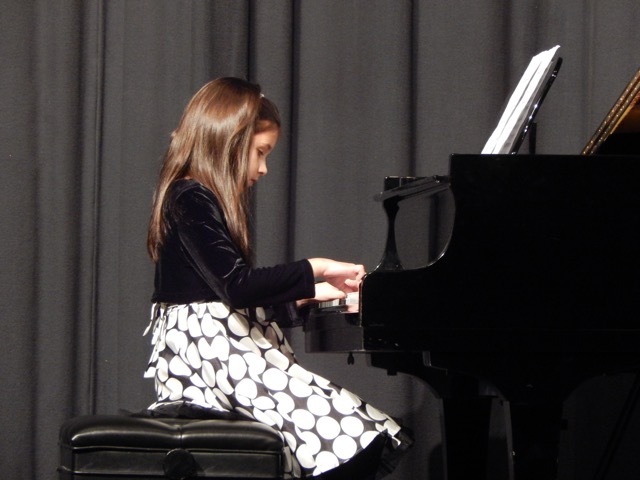 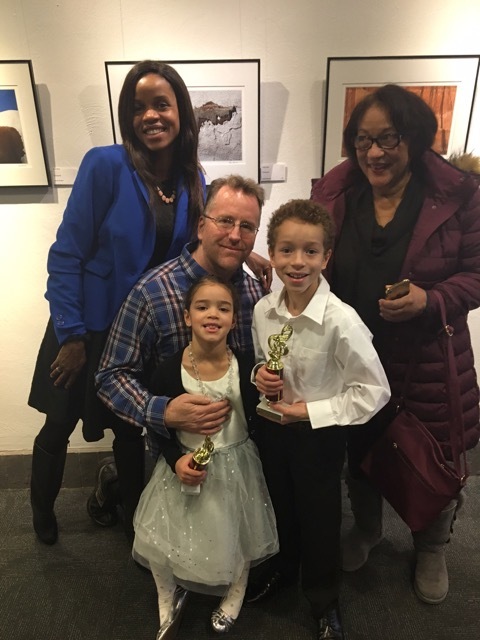 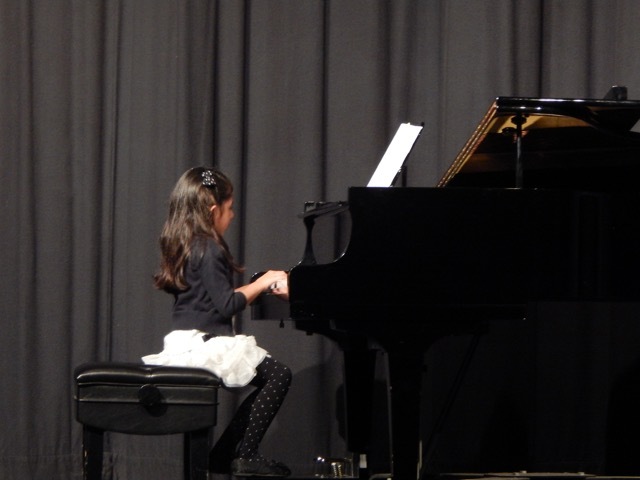 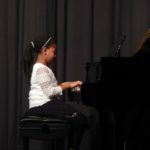 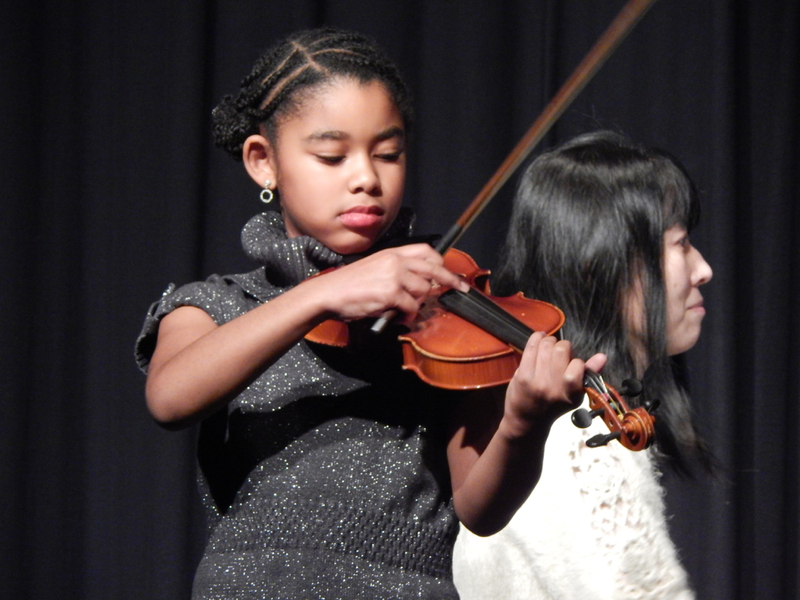 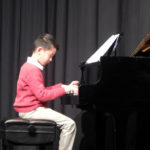 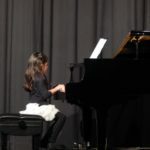 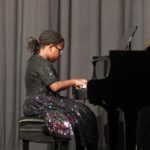 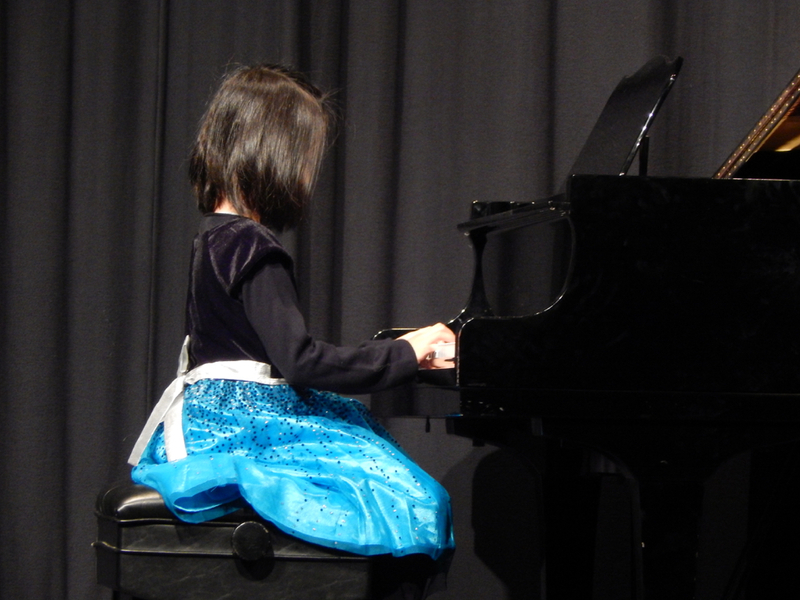 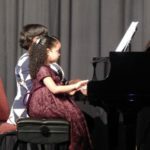 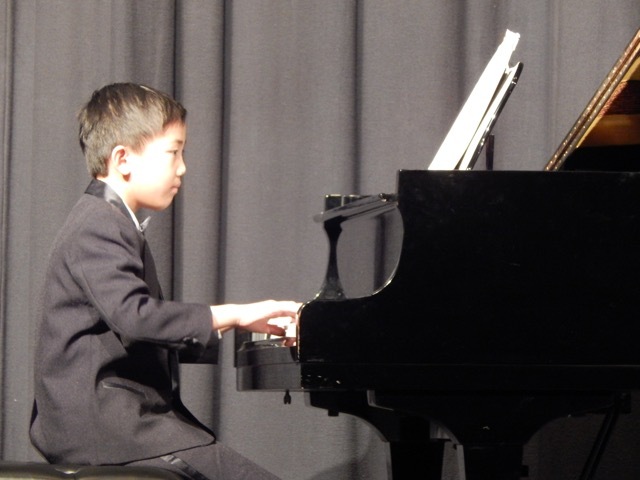 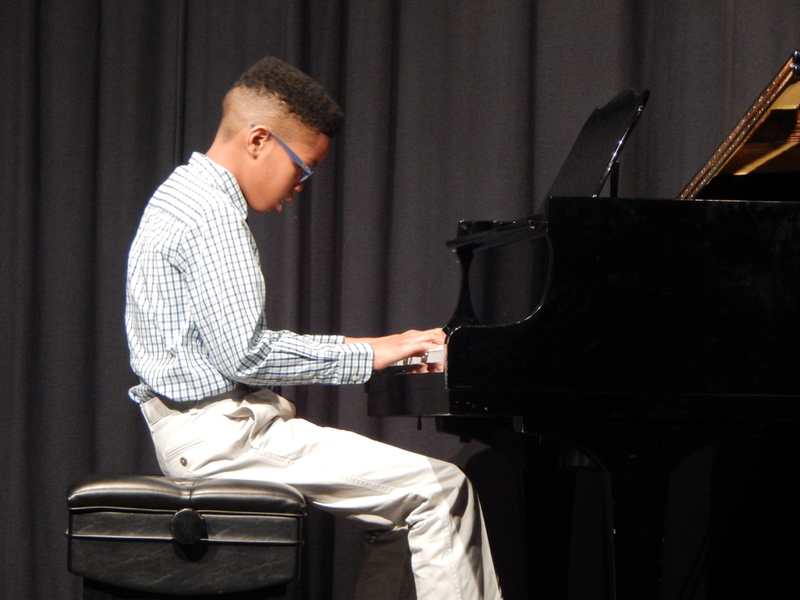 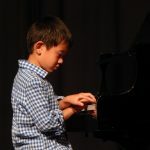 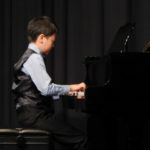 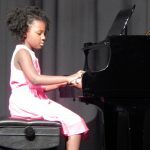 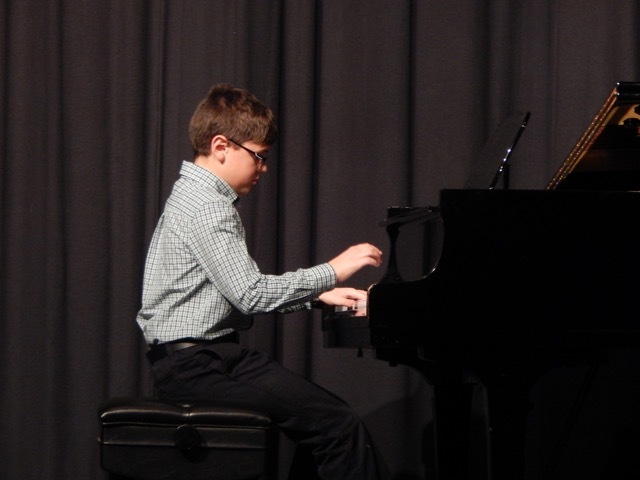 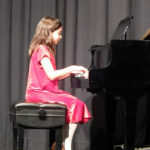 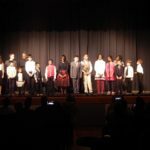 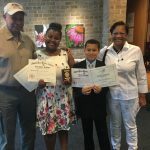 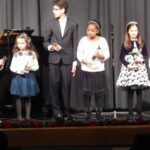 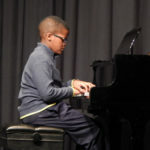 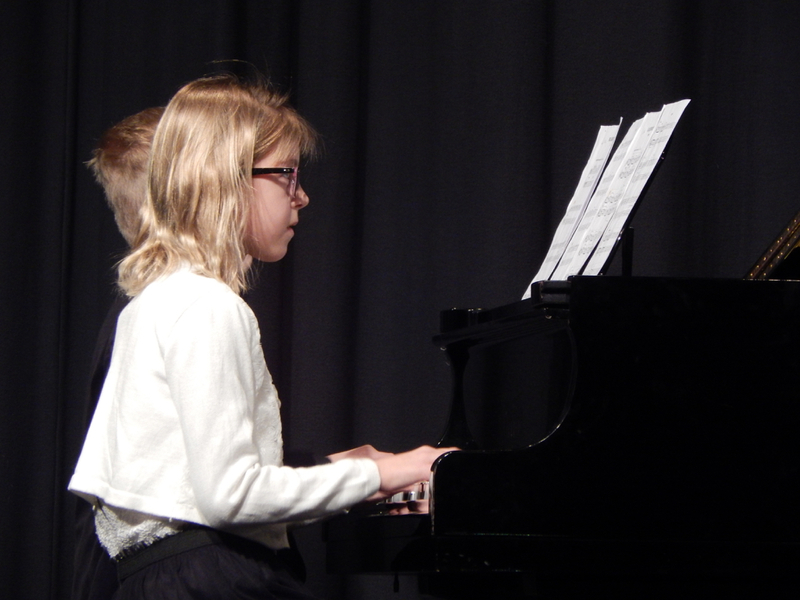 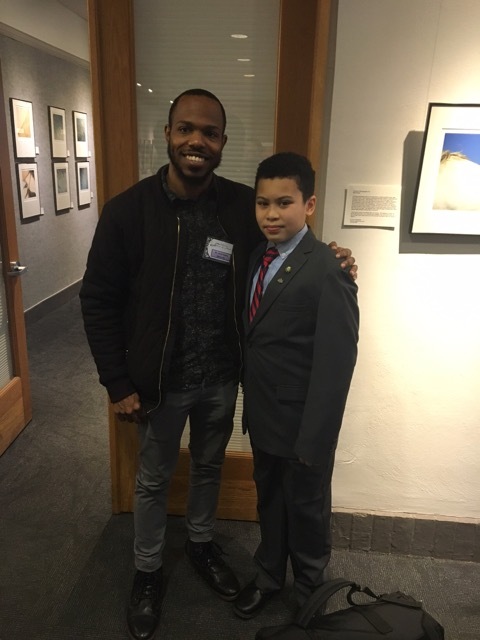 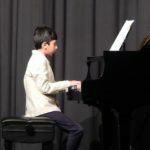 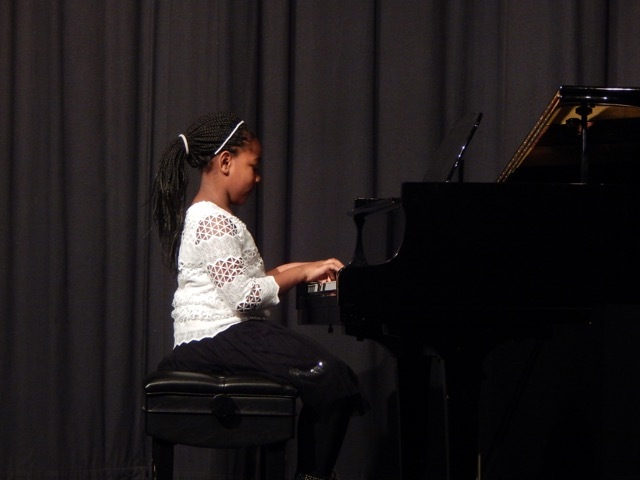 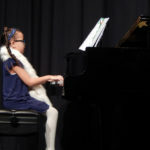 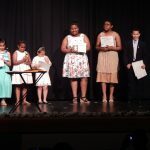 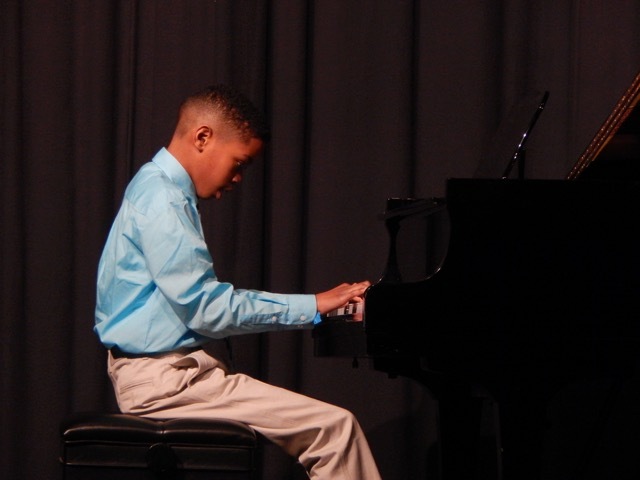 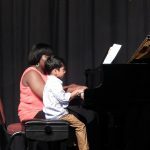 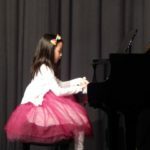 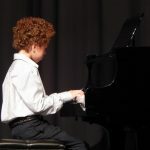 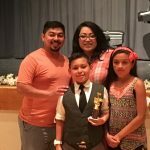 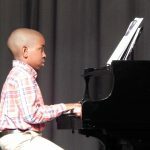 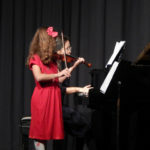 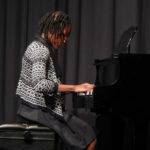 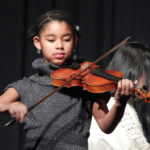 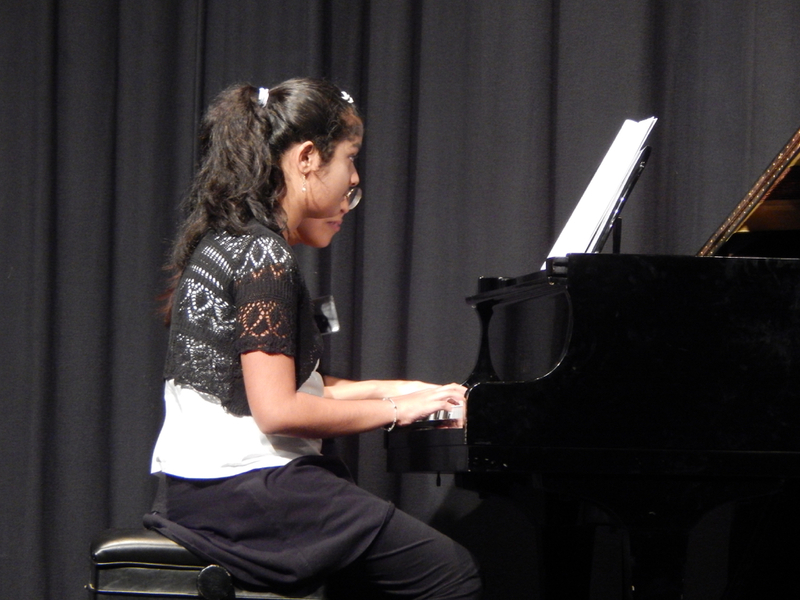 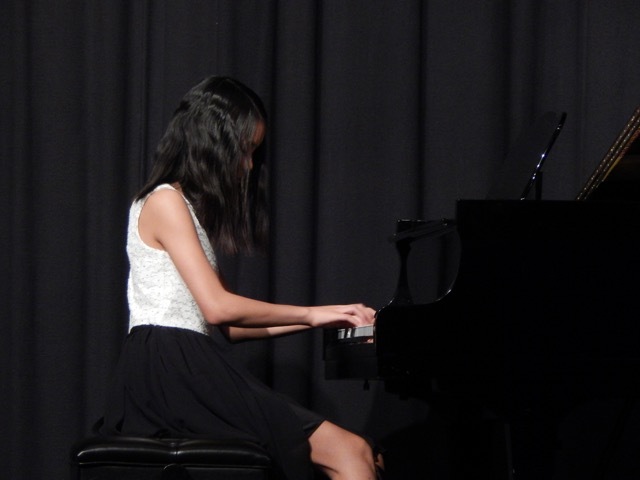 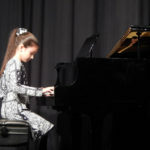 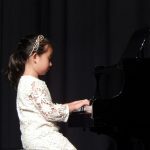 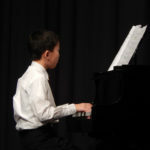 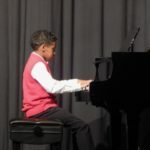 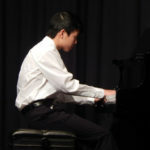 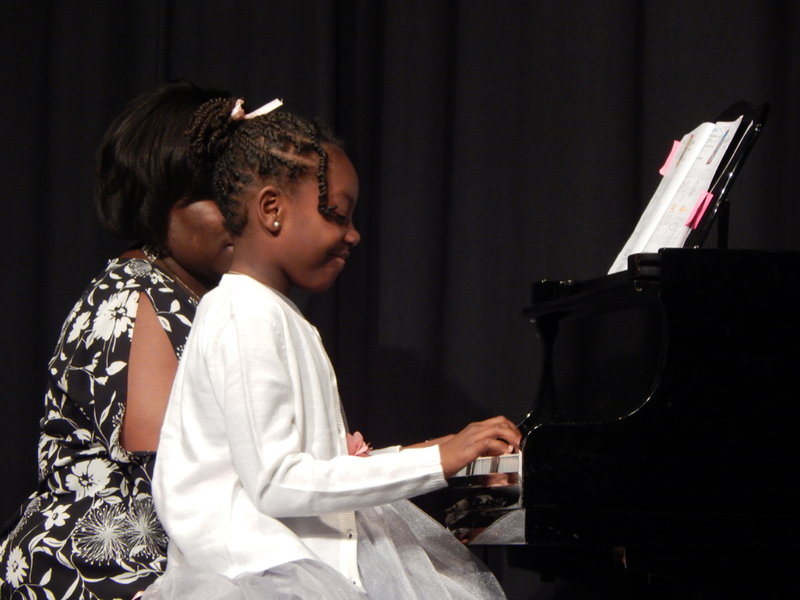 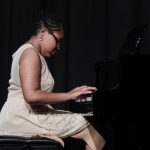 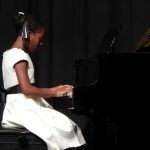 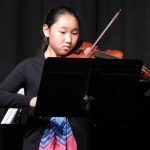 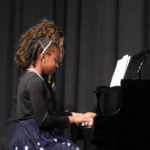 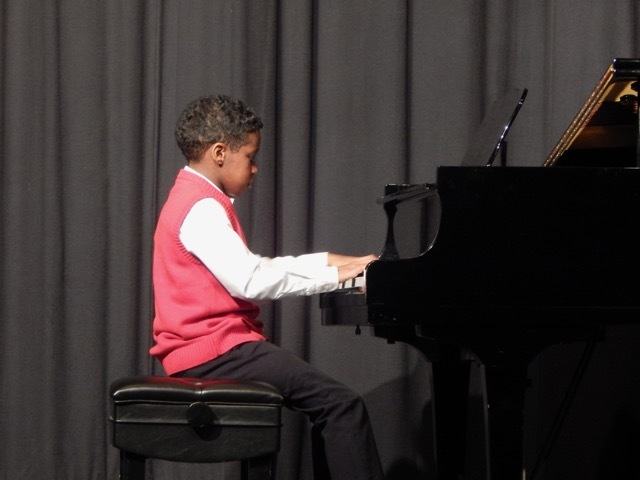 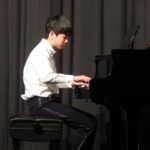 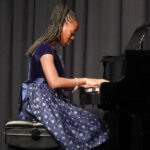 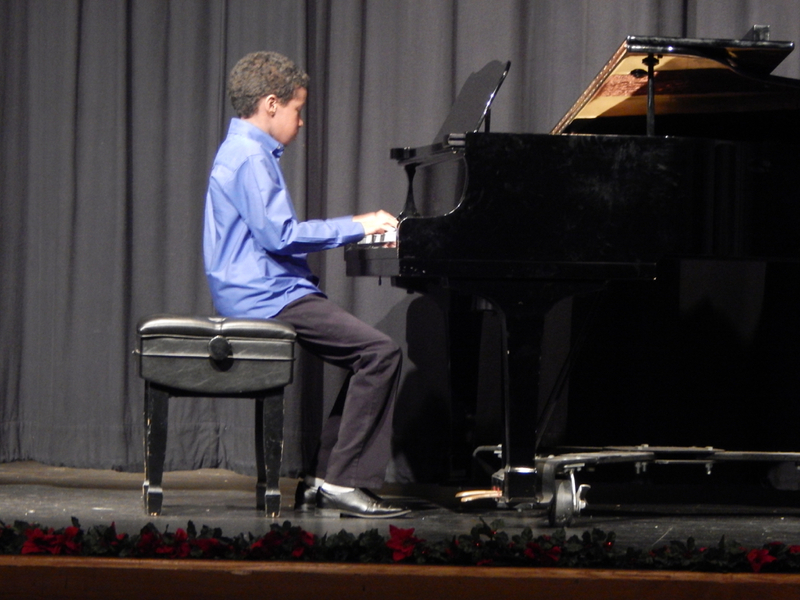 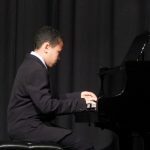 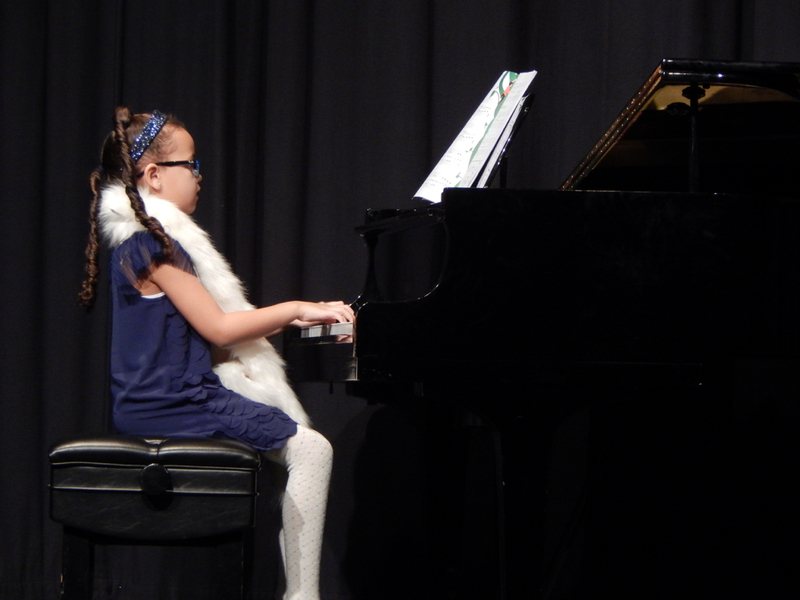 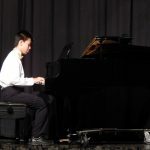 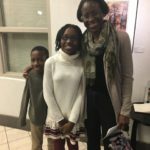 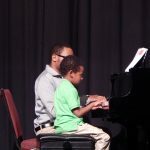 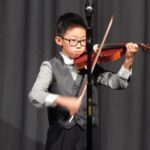 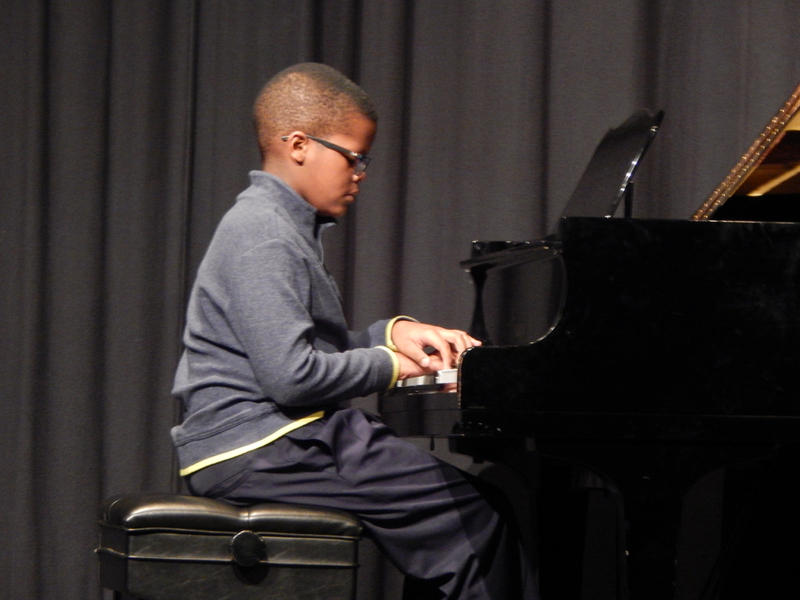 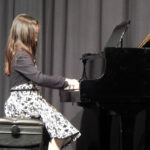 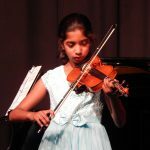 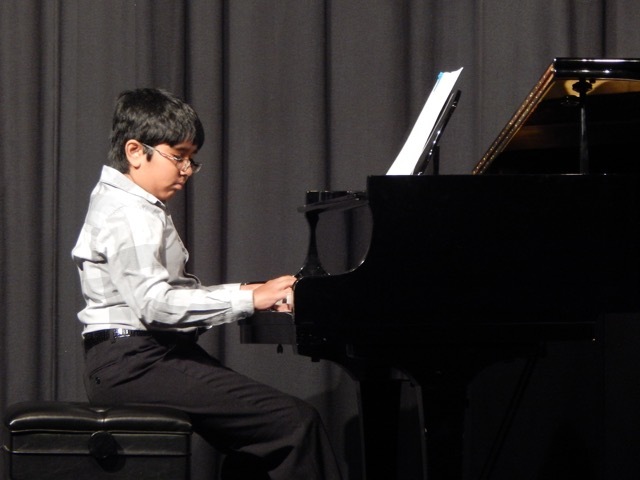 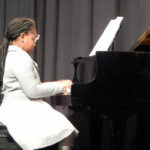 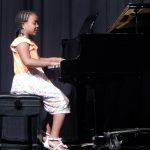 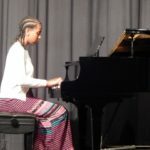 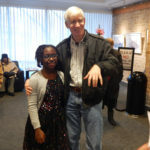 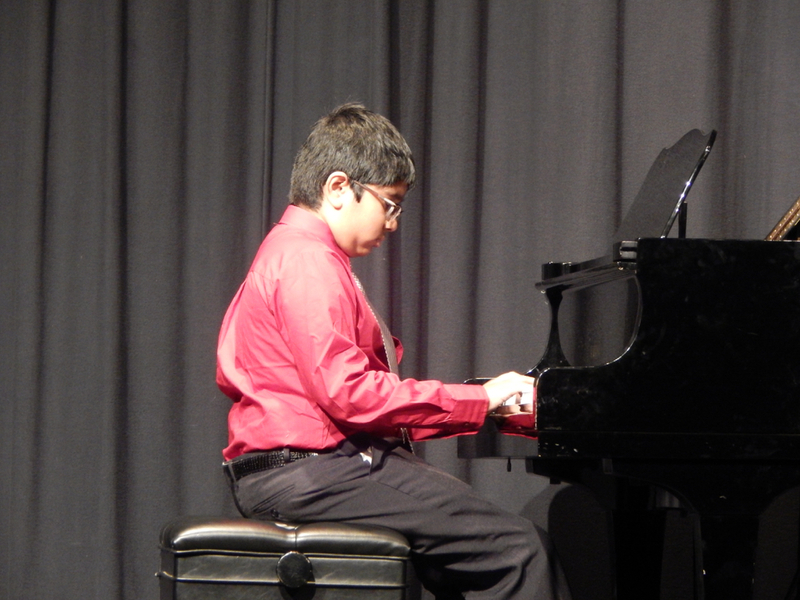 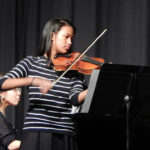 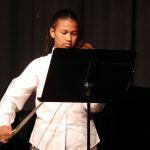 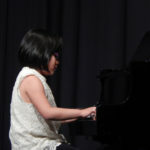 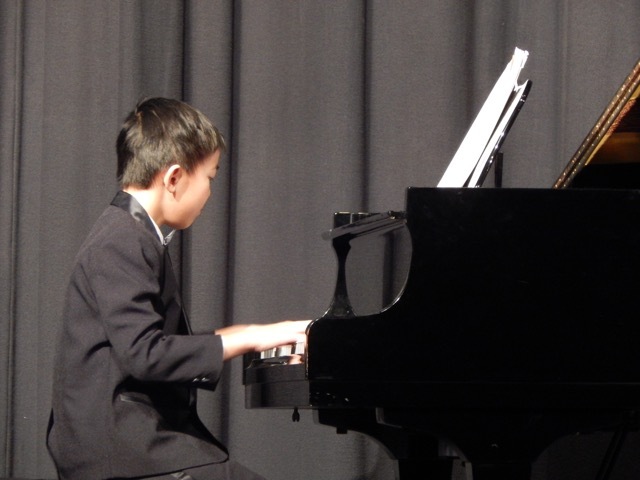 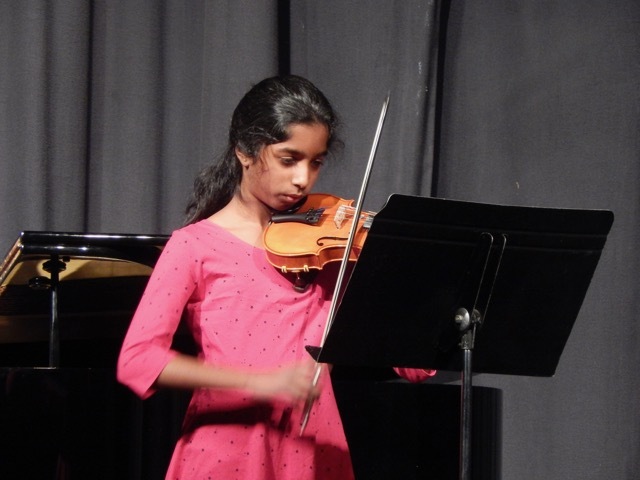 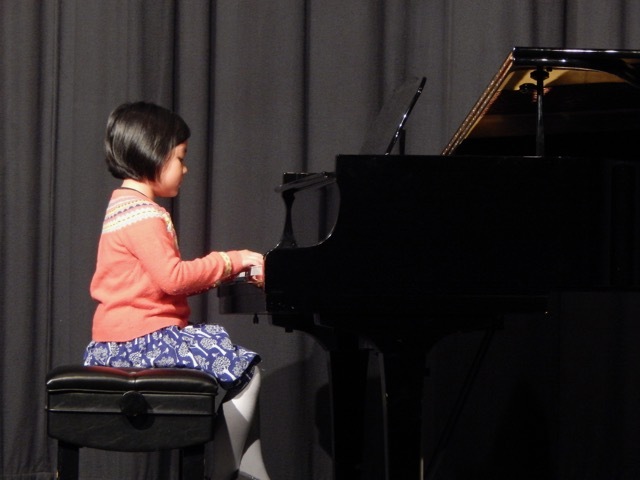 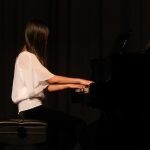 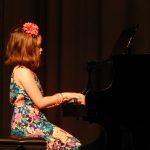 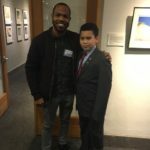 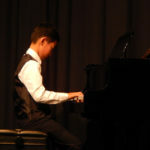 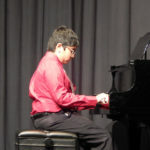 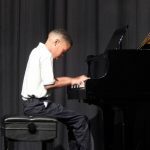 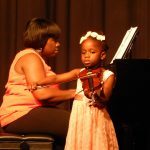 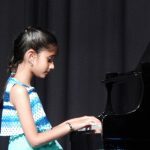 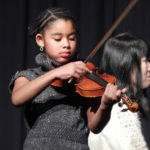 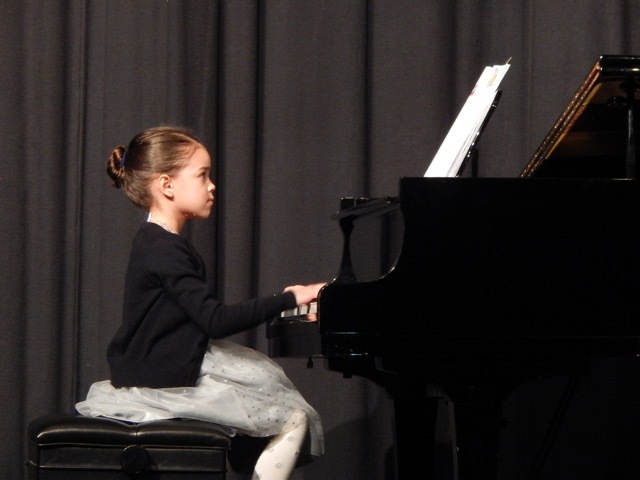 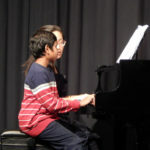 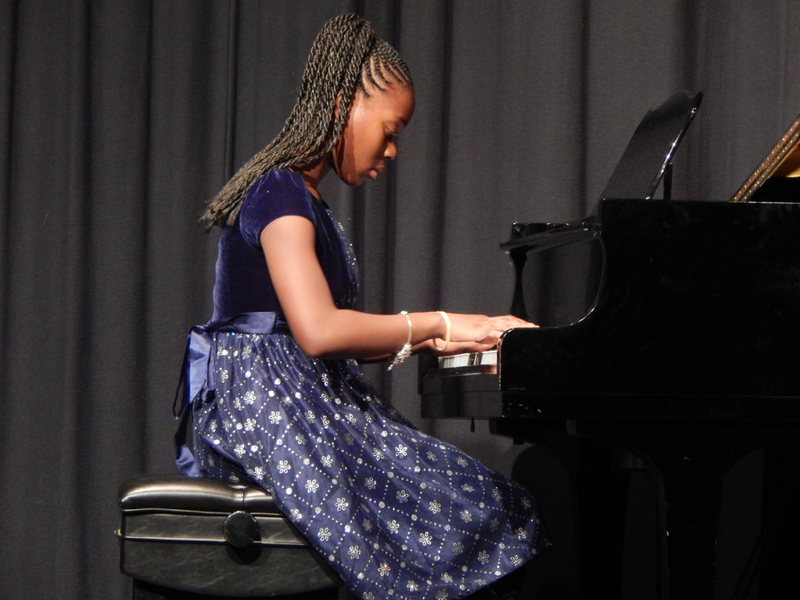 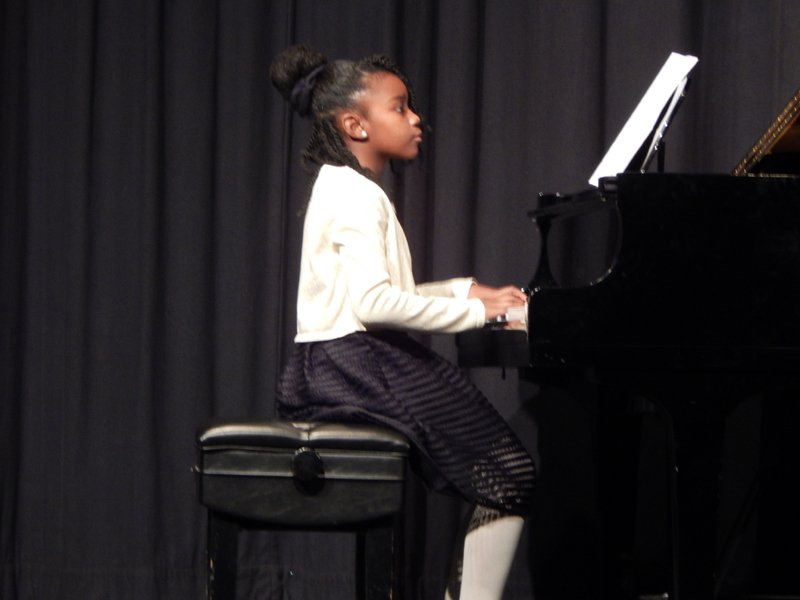 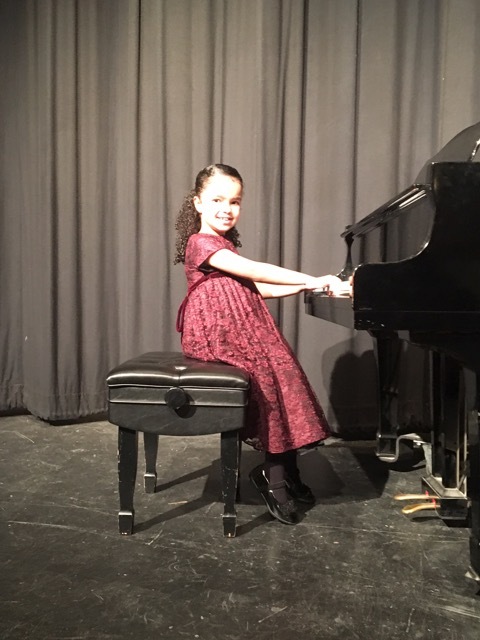 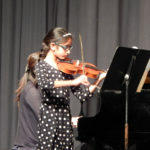 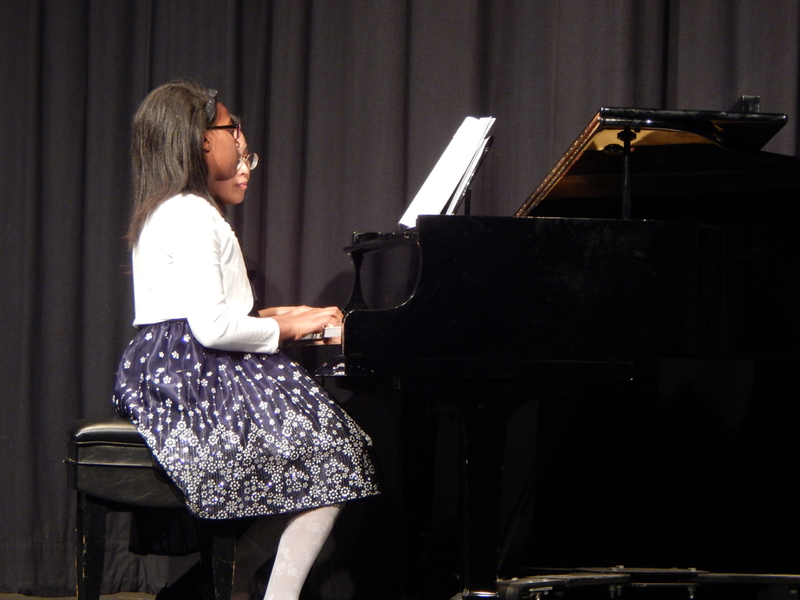 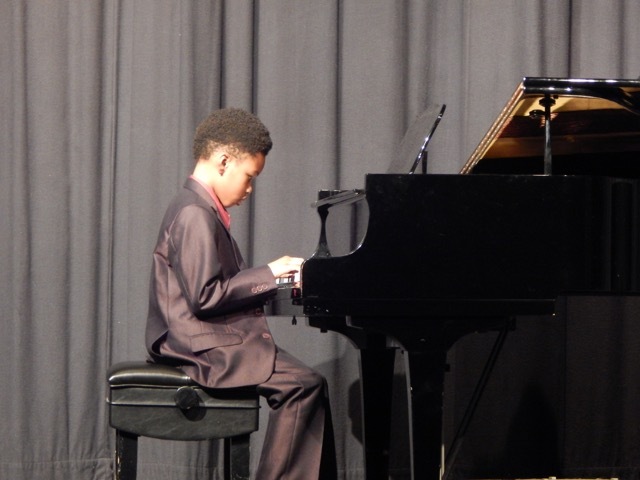 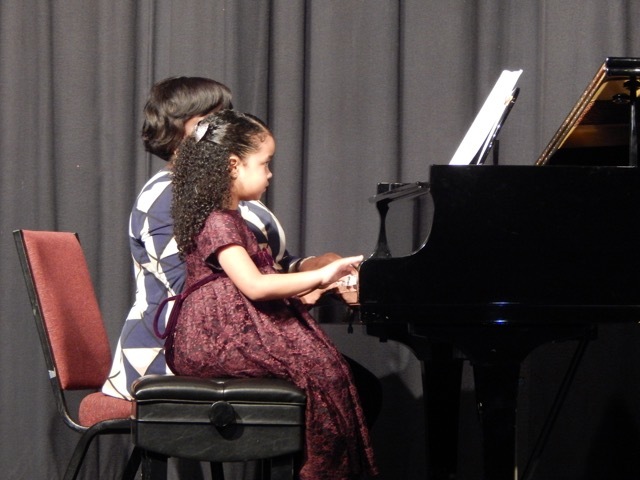 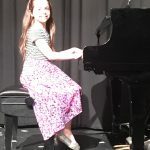 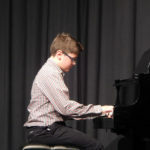 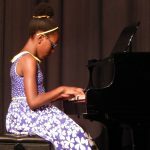 The MSMTA Spring Festival Piano Competition happens once a year at Clarice Smith Performing Arts Center and the University of Maryland, College Park. 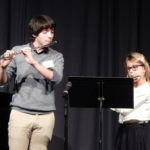 Students perform two pieces from different periods. 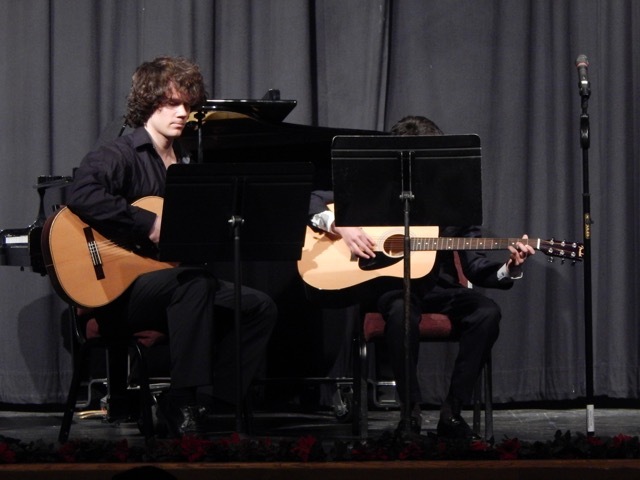 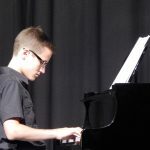 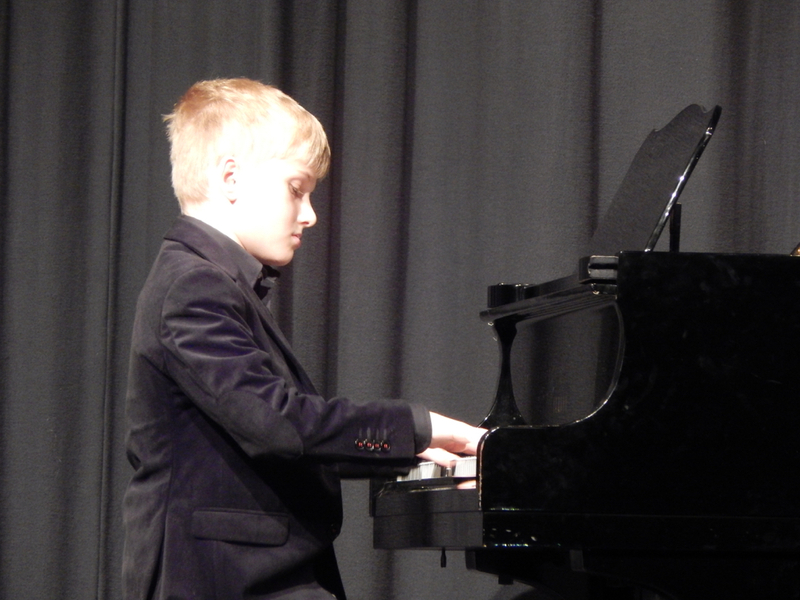 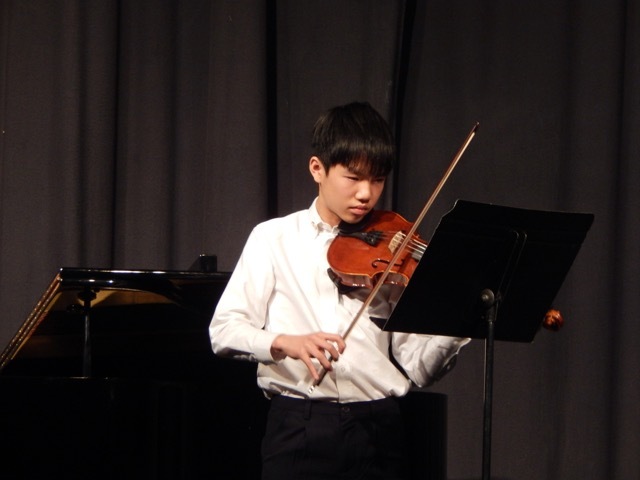 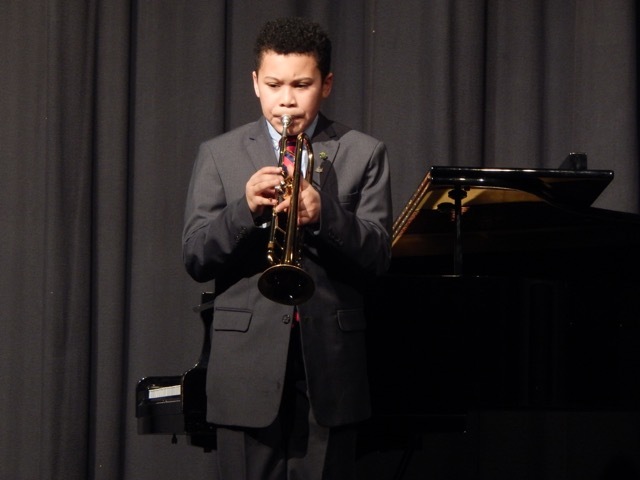 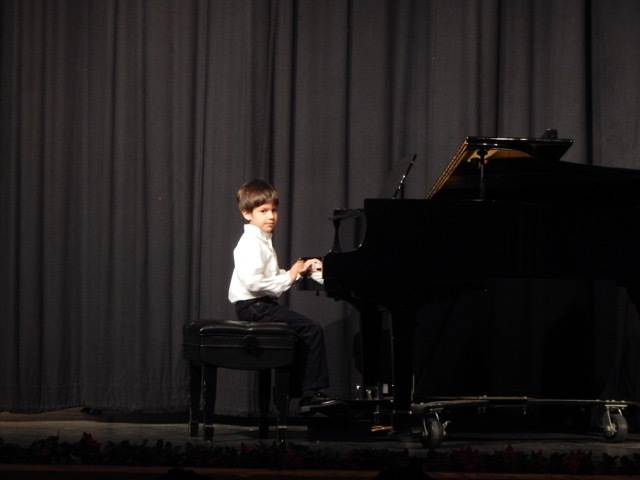 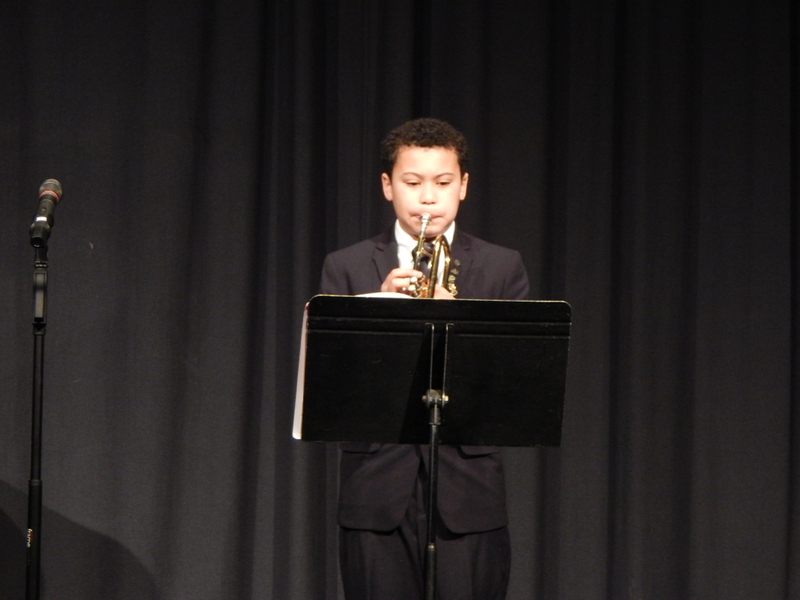 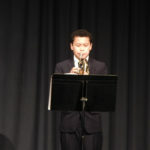 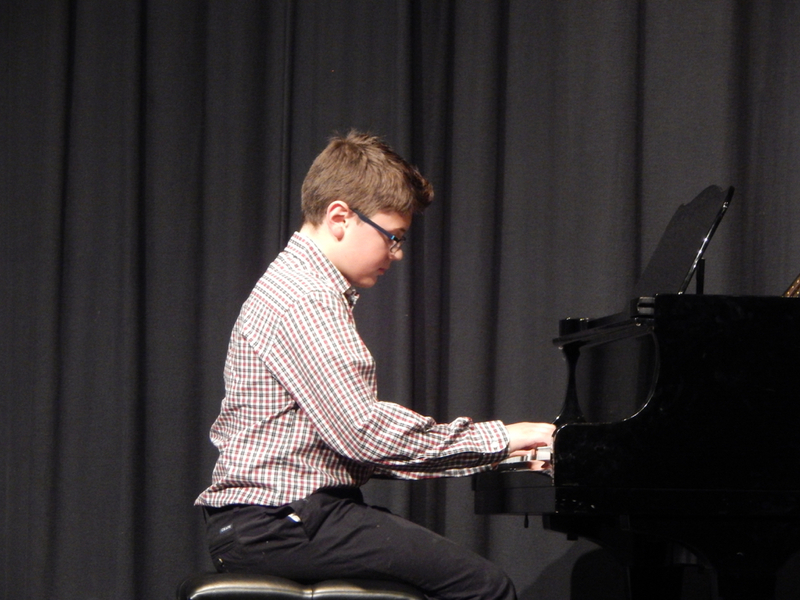 Sean performed pieces by Villa-Lobos and Beethoven. 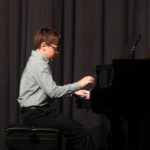 Way to go Sean! 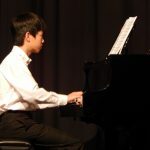 Congratulations to RSM student Sean Cheng for winning 2nd place in the 2017 Miriam Shields Gottlieb Memorial Piano Competition! 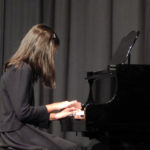 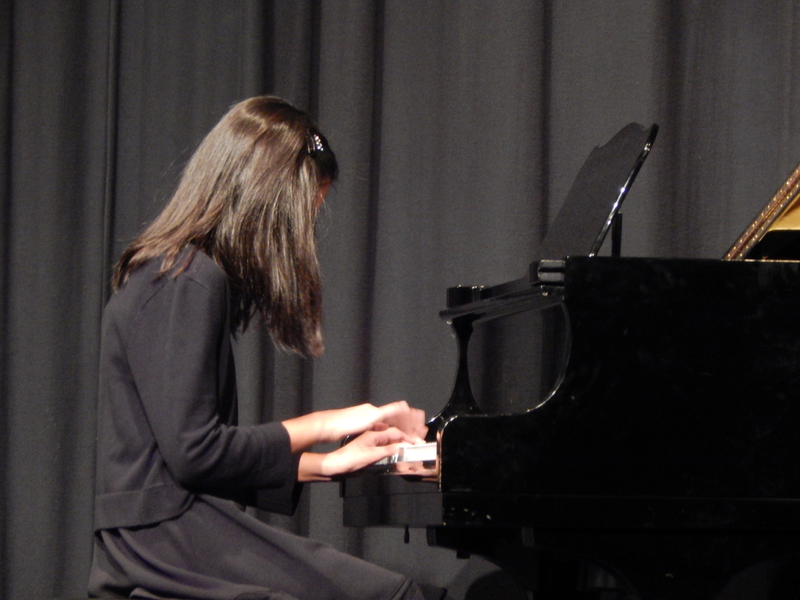 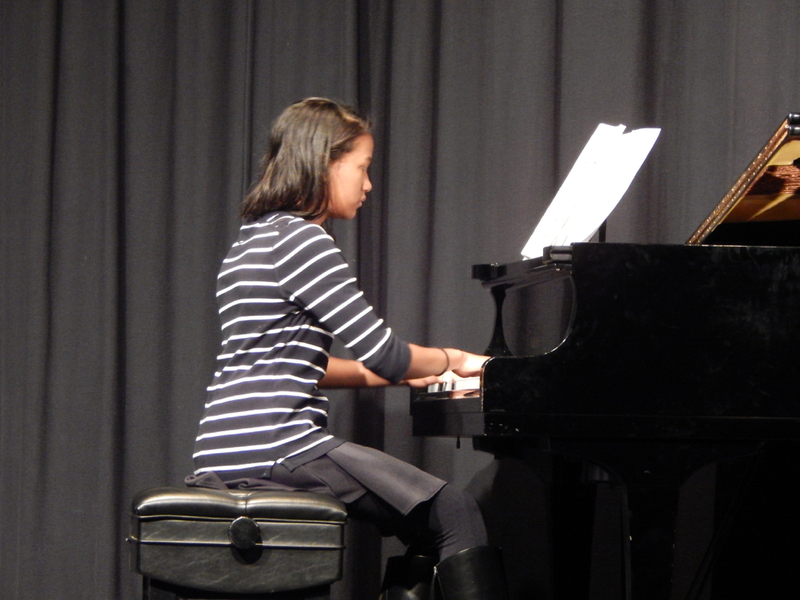 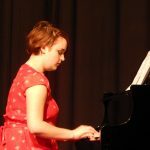 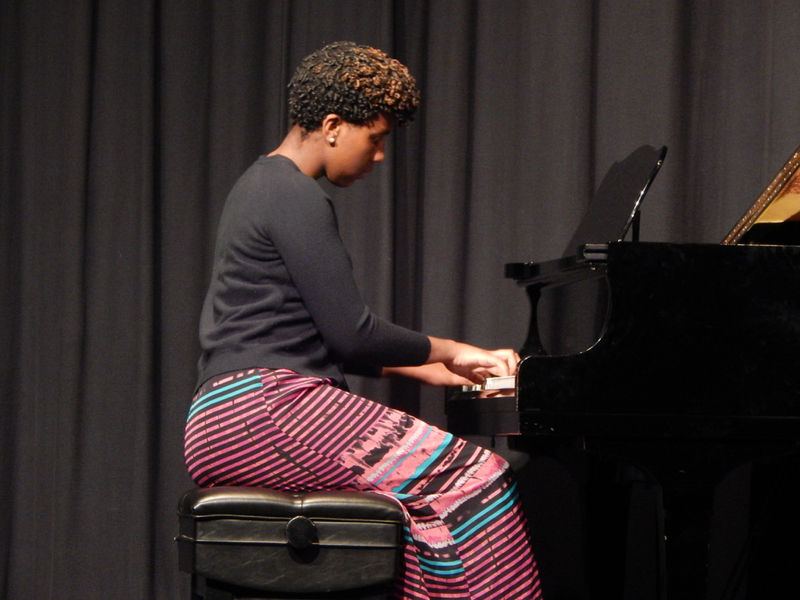 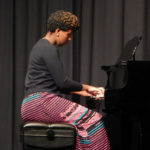 Miriam Shields Gottlieb Memorial Piano Competition is held for students in 12th grade and below. 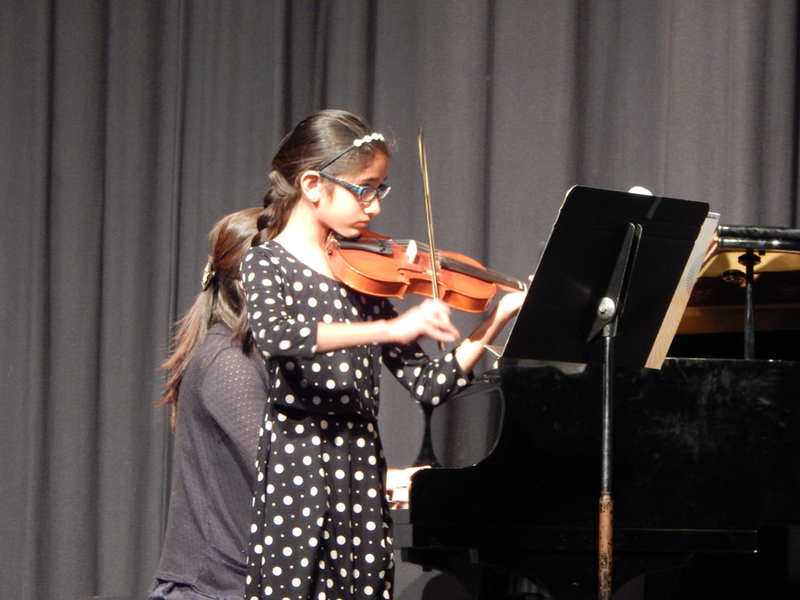 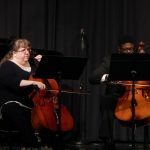 All students must perform three works by three different composers. 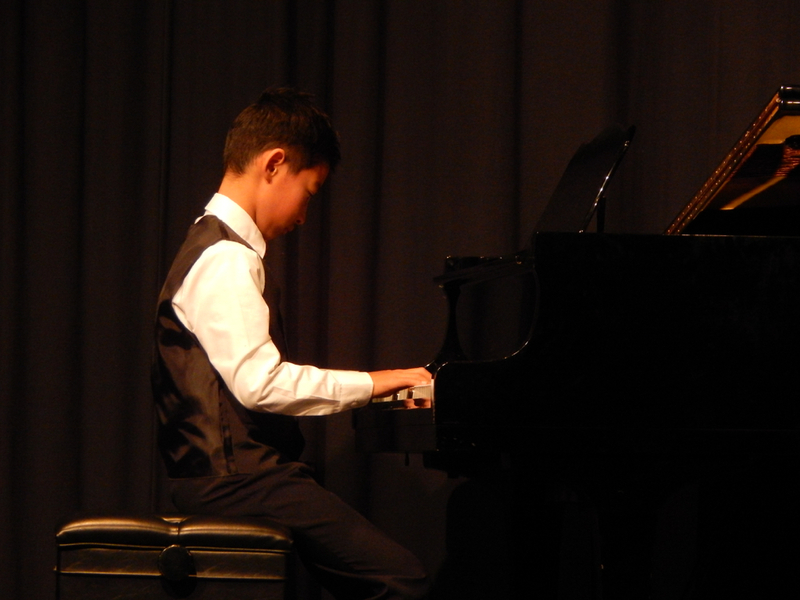 Sean performed pieces by Bach, Beethoven and Villa-Lobos. 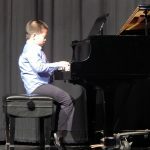 Way to Go Sean! 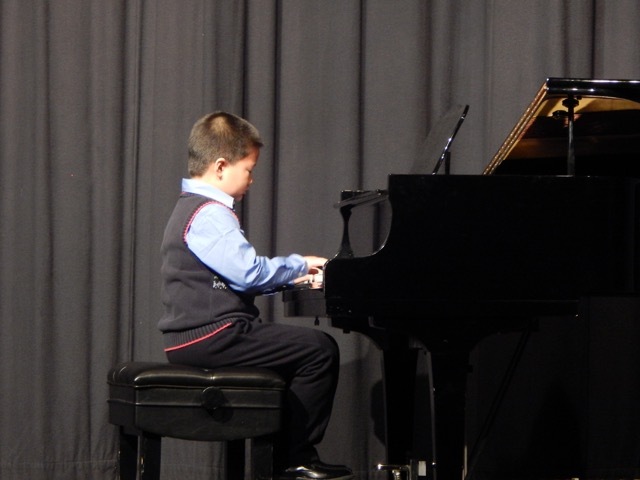 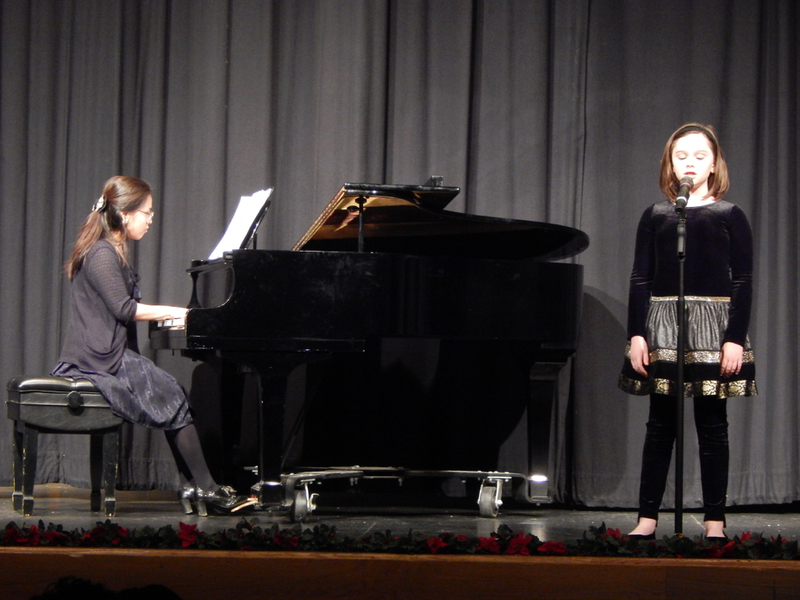 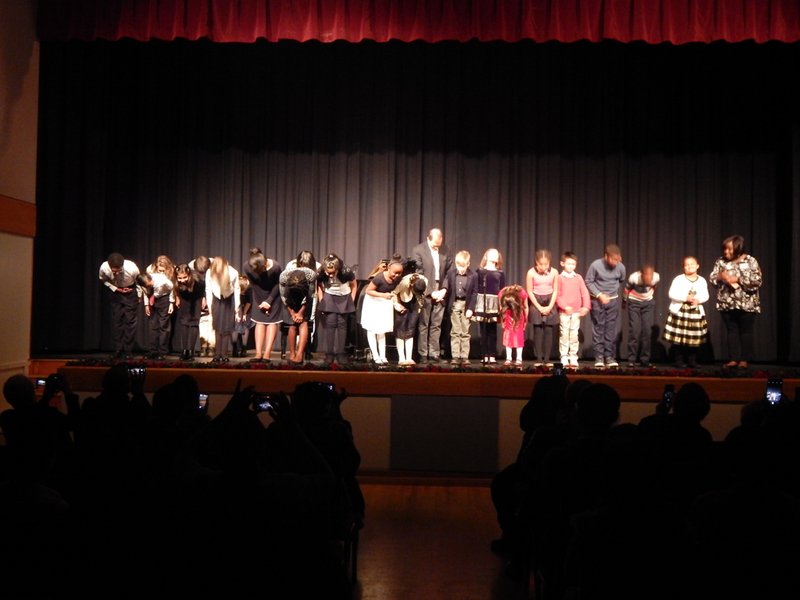 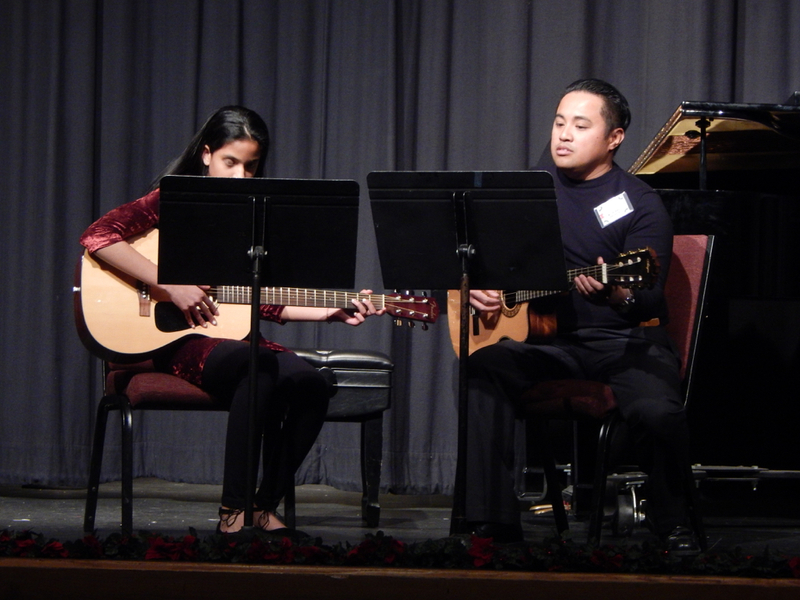 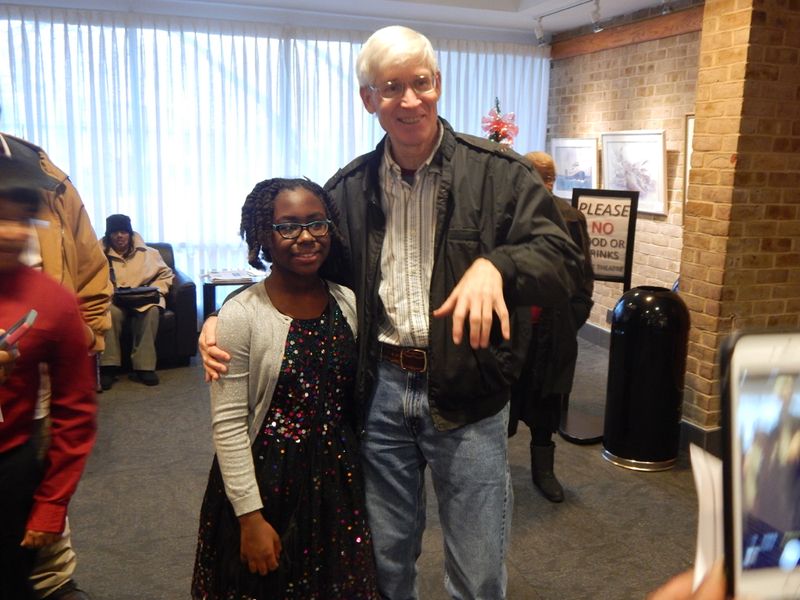 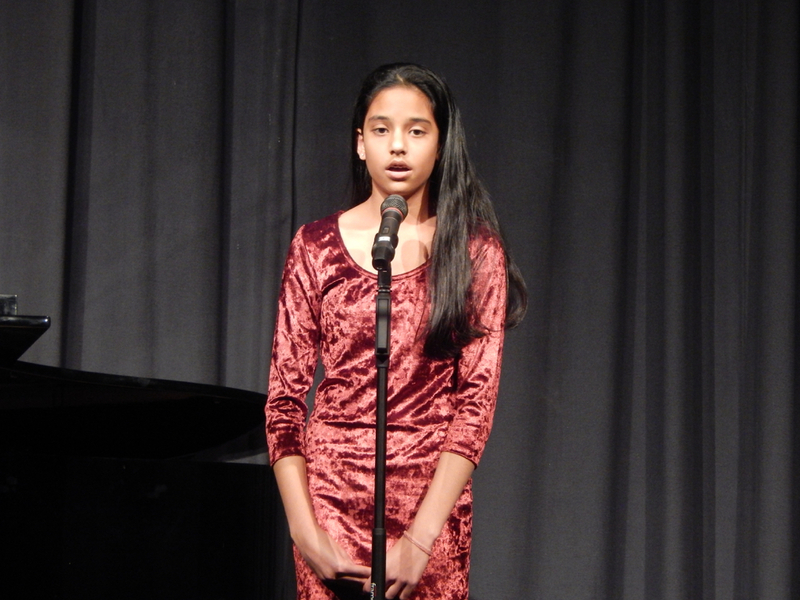 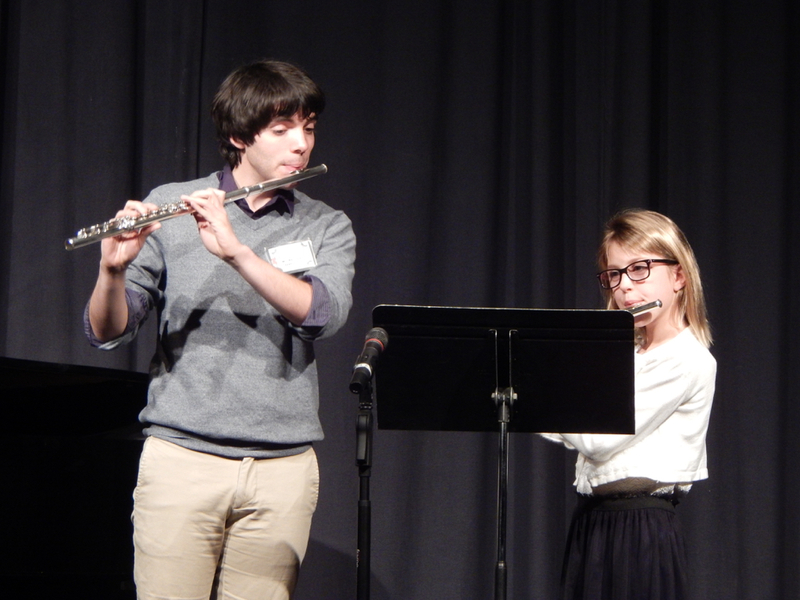 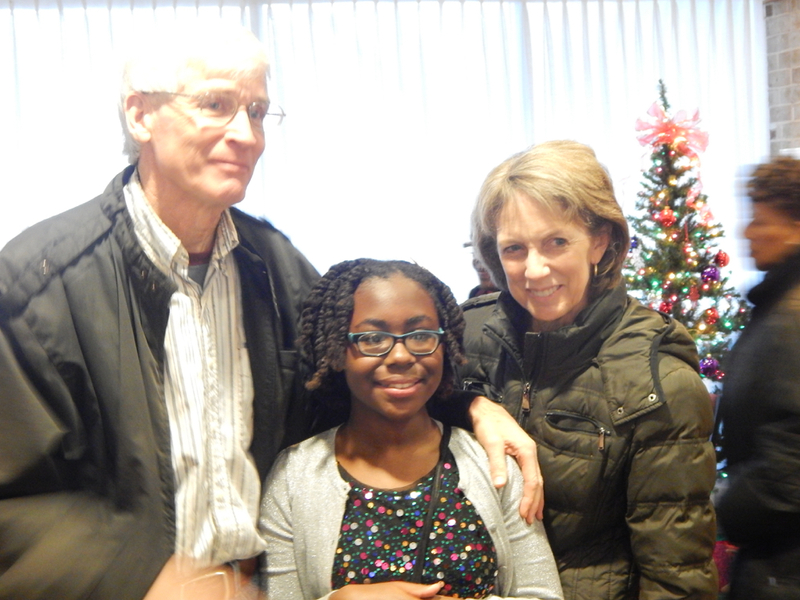 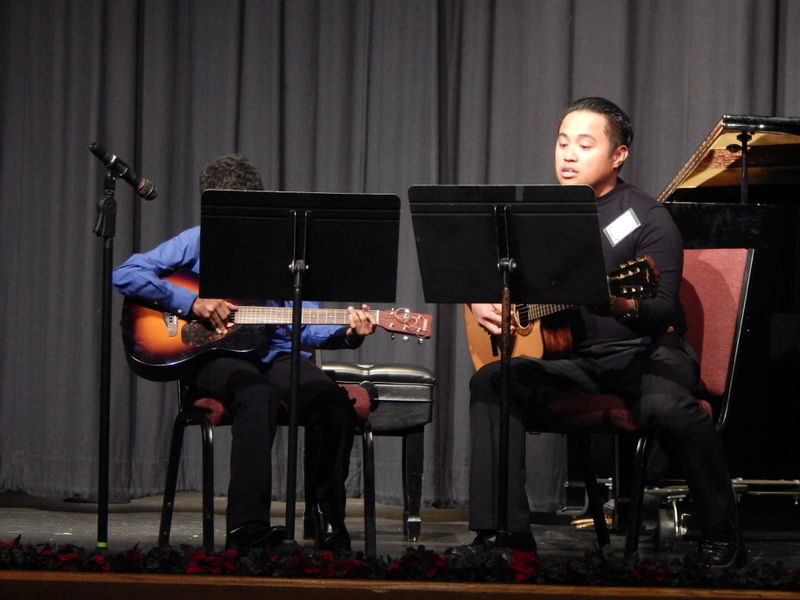 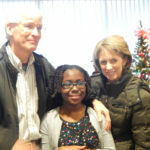 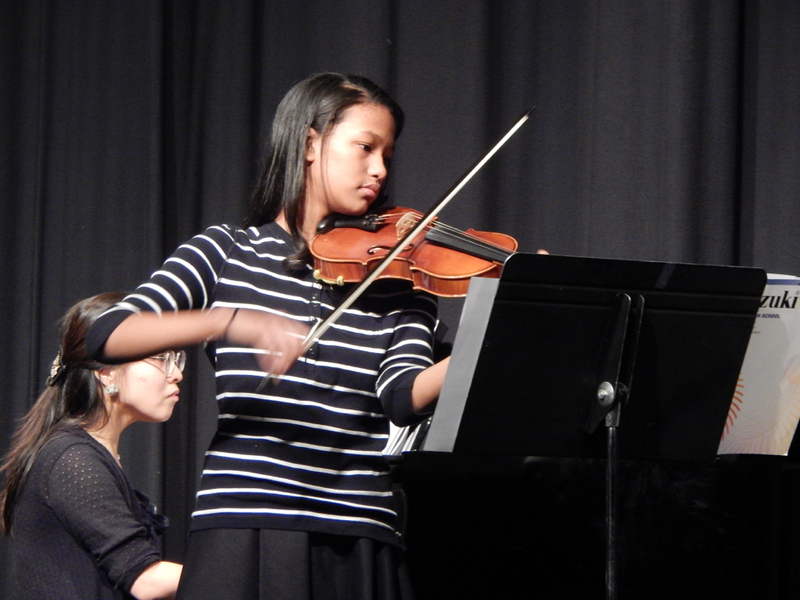 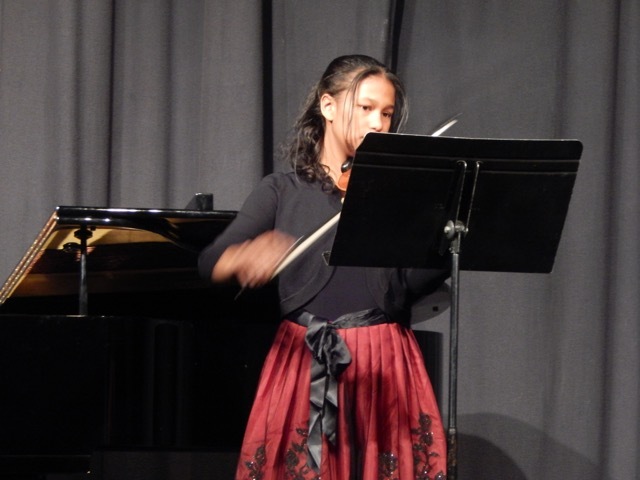 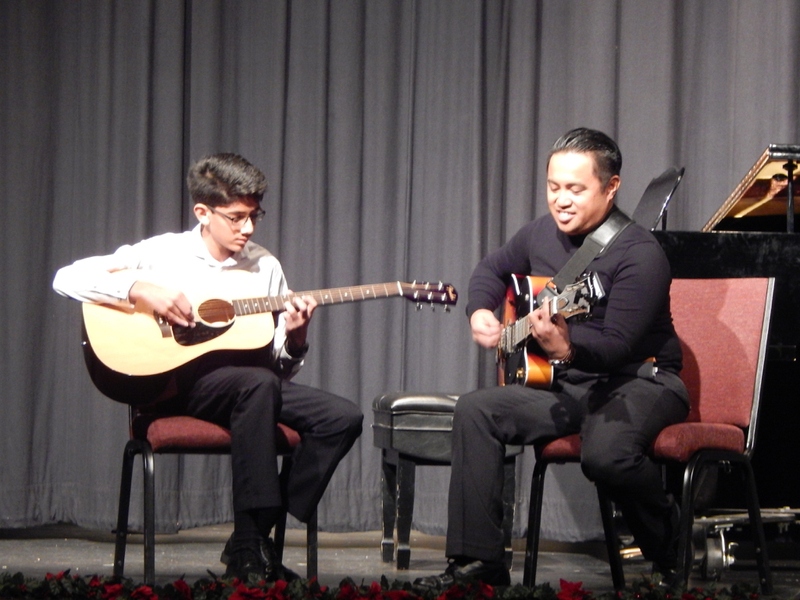 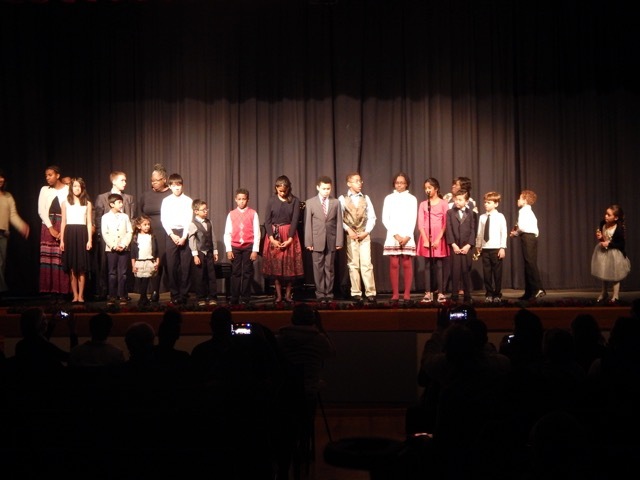 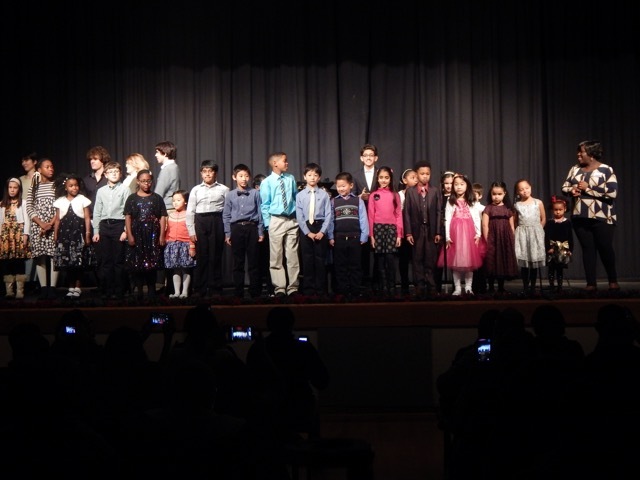 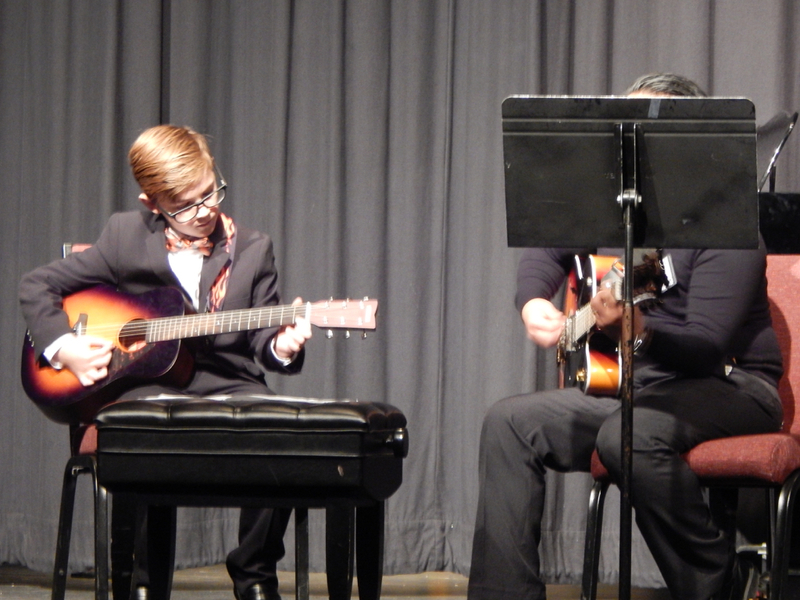 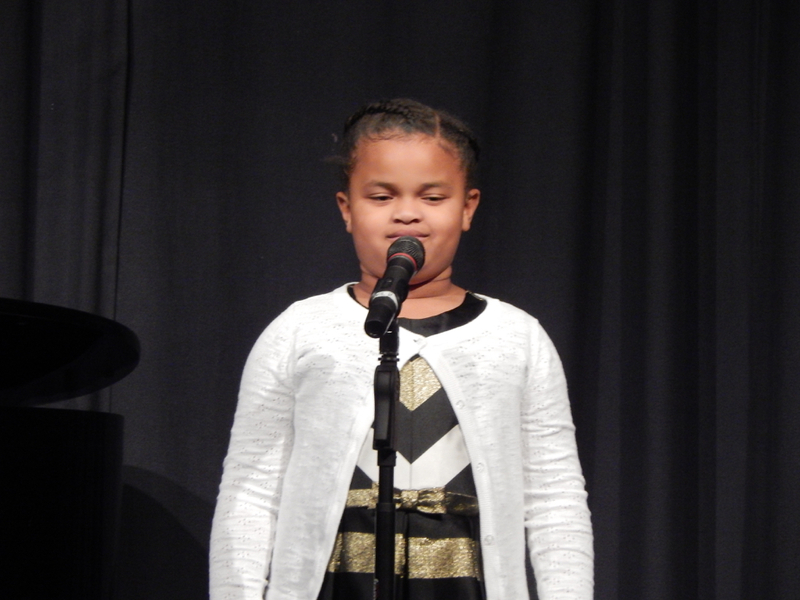 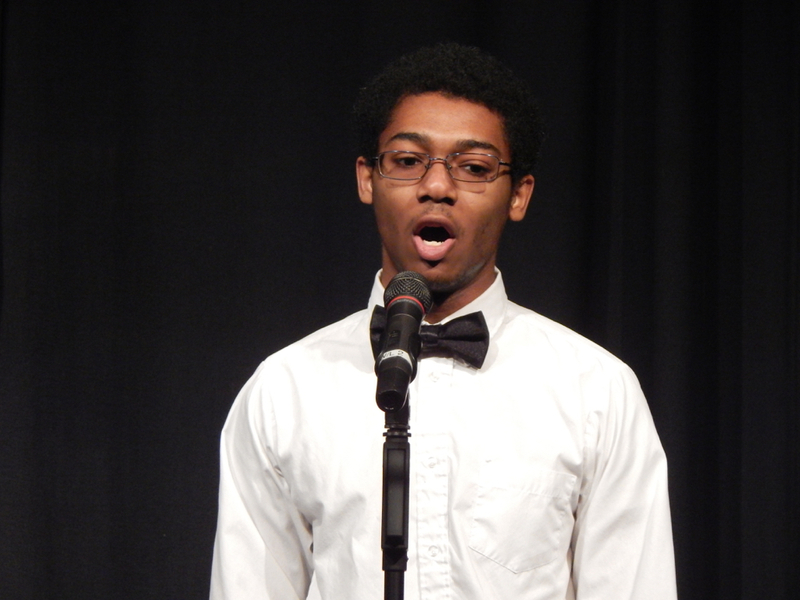 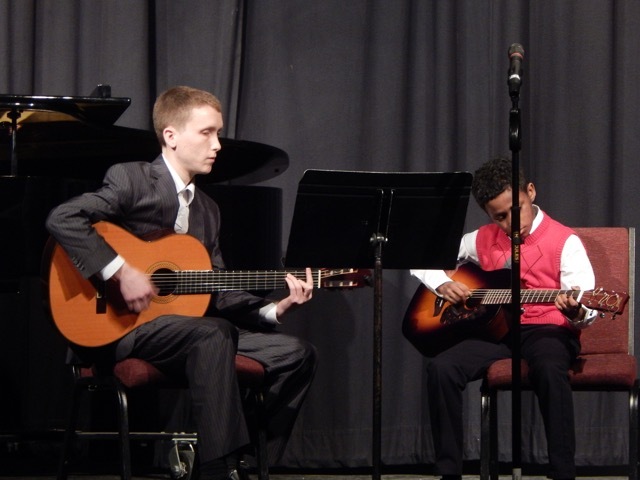 Here are pictures from RSM’s January recital. 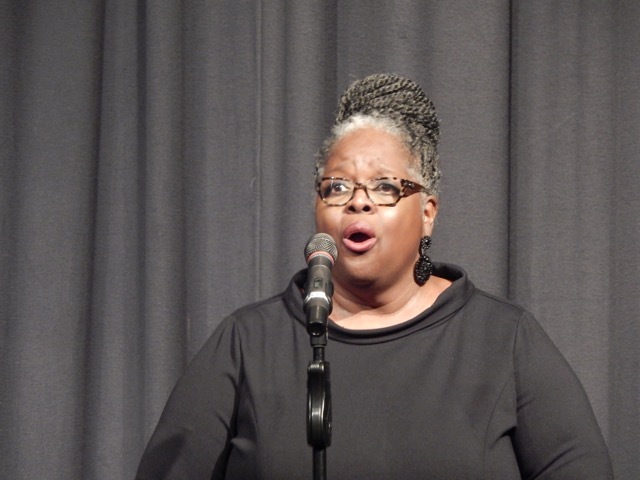 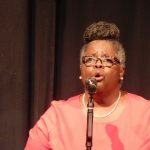 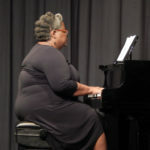 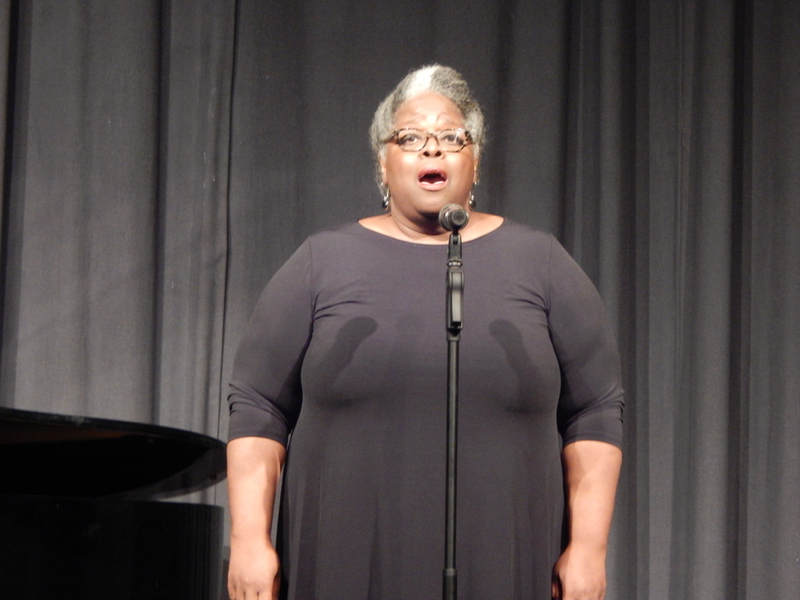 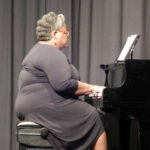 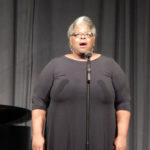 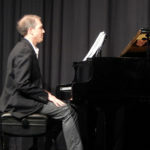 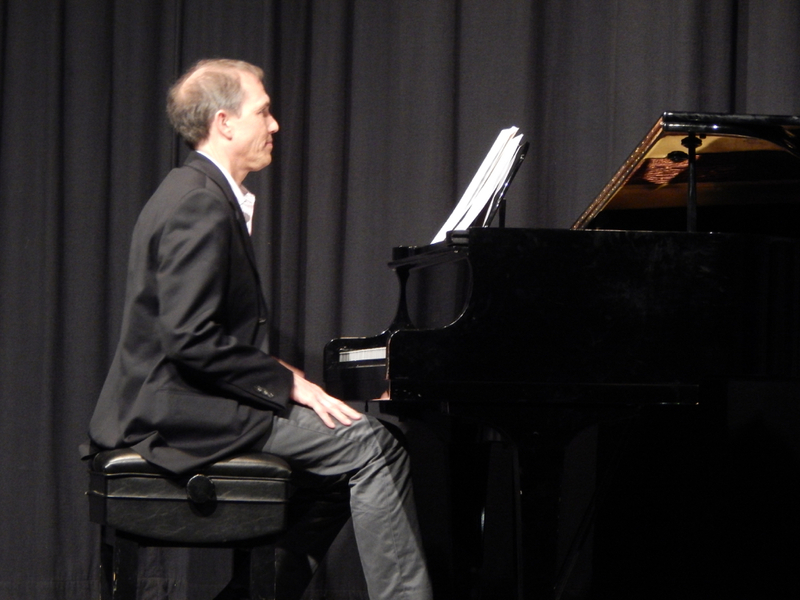 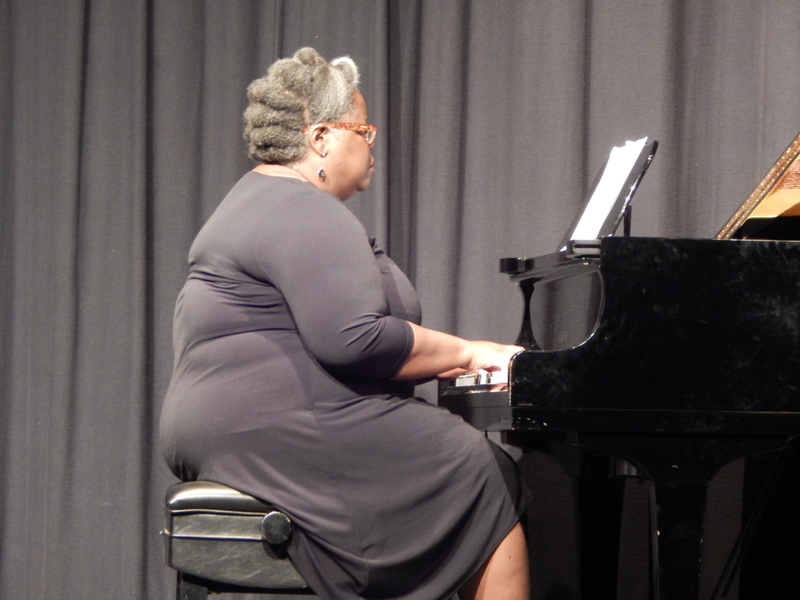 Here are pictures from RSM’s June recital. 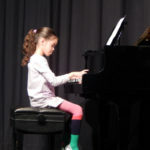 Participation in Guild Auditions in the memorized classification. 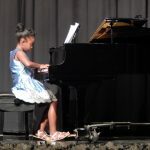 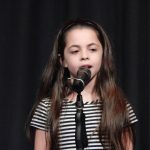 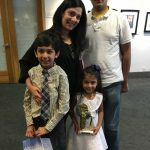 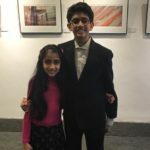 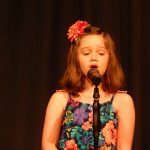 Performance of 1 to 20 memorized pieces (and Musicianship Phases) for entry in the non- competitive Annual National Piano Playing Auditions (optional competition category). 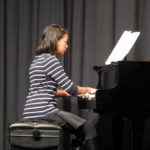 Each student appears before the experienced Guild examiner at the appointed time. 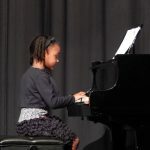 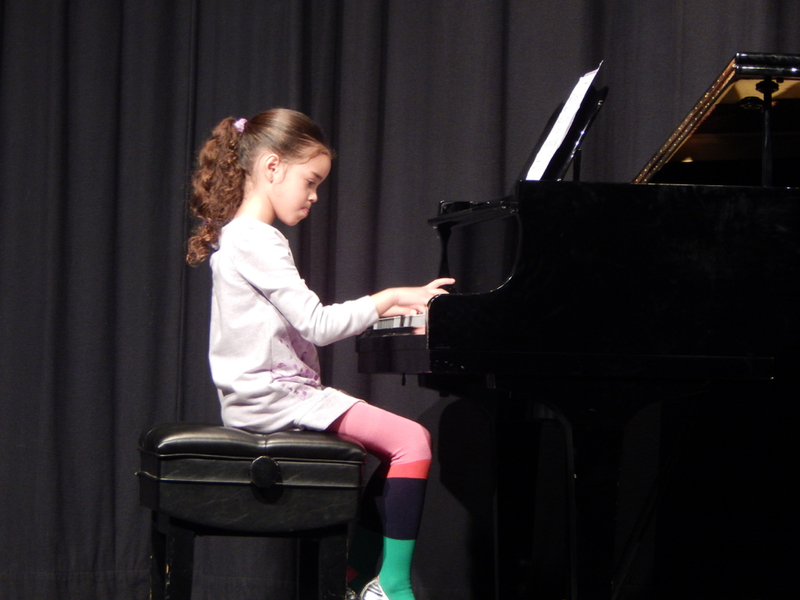 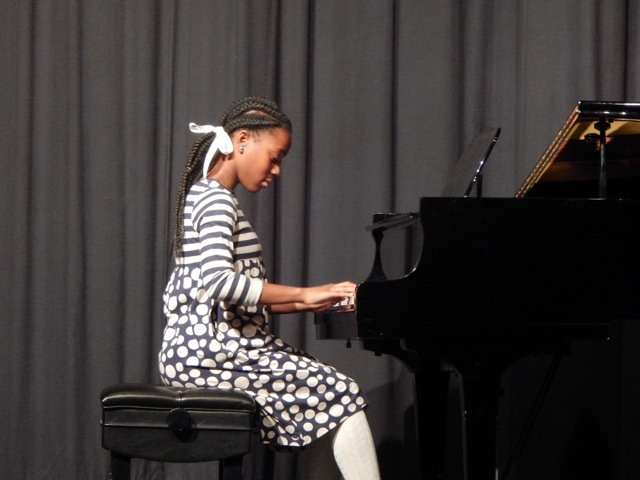 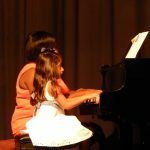 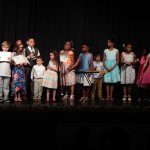 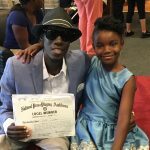 Since Guild Auditions are considered a legitimate excuse for school absence, parents may request permission from school authorities for their children to be excused to perform in the National Piano Playing Auditions. 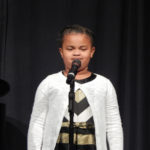 (A form letter is available). 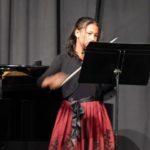 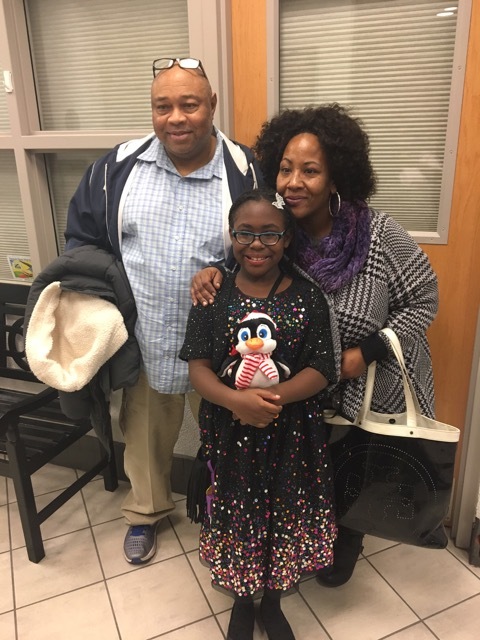 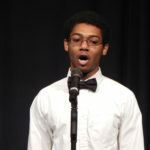 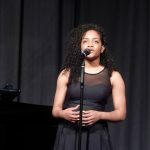 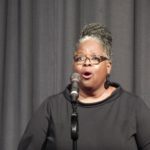 Congratulations to RSM student, Nailah Downing, for winning First Place Gold Medals in Vocal Classical and Vocal Contemporary Music categories of the Act-So competition in Prince George’s County. 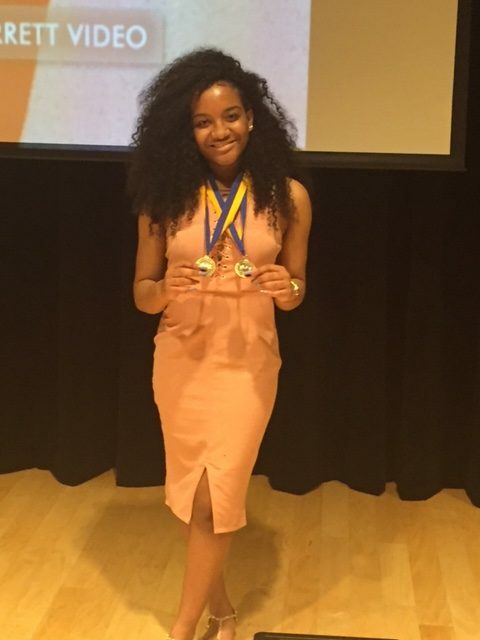 ACT-SO is an Afro-Academic, Cultural, Technological and Scientific Olympics that is sponsored by the NAACP. 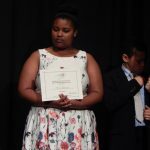 It is a yearlong achievement program designed to recruit, stimulate, and encourage high academic and cultural achievement among African-American high school students. 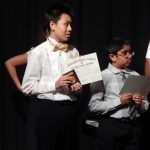 Students have the option to compete in categories ranging from science, humanities, business, and performing and visual arts.